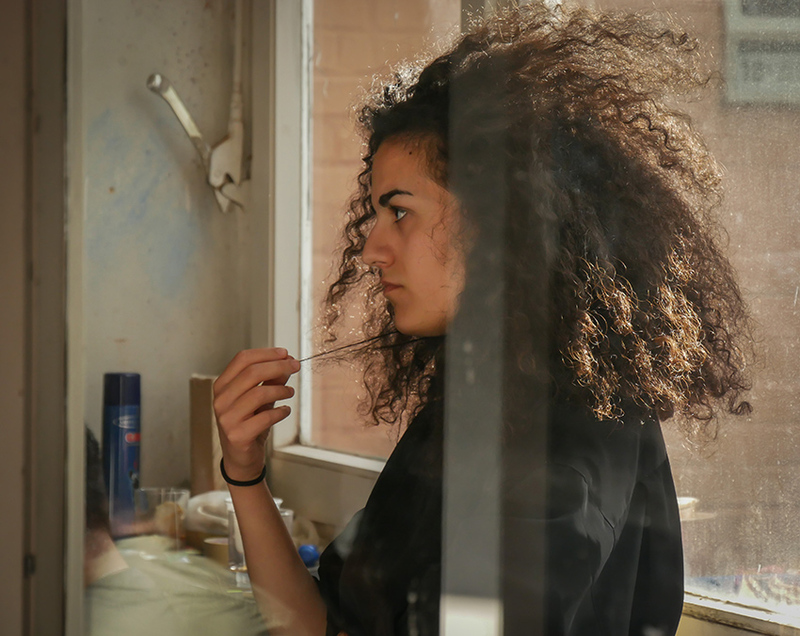 By Joulia Strauss in Documentation on July 12, 2017 . 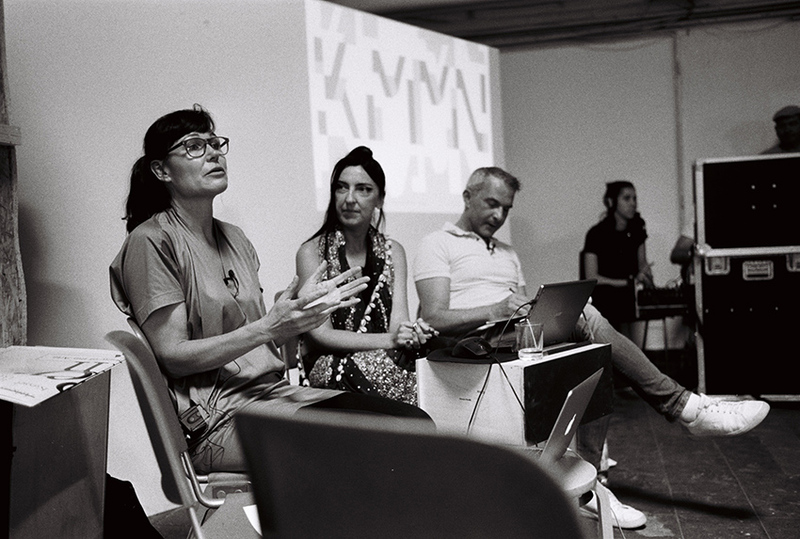 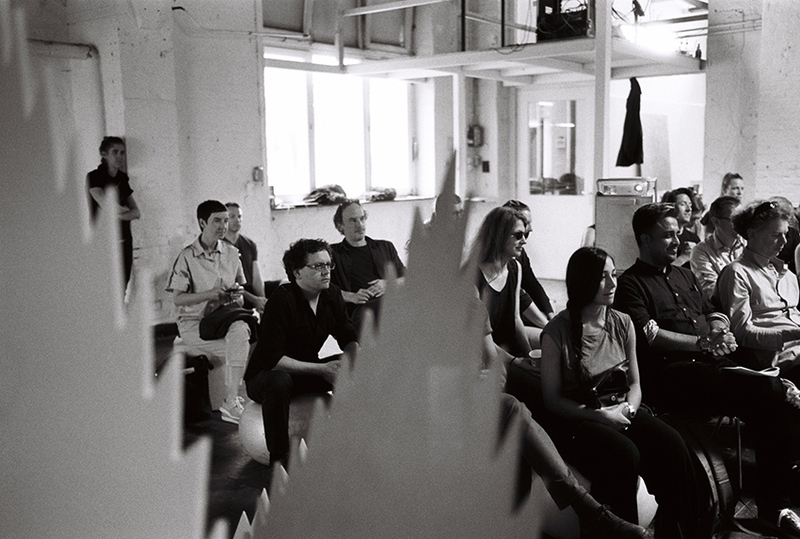 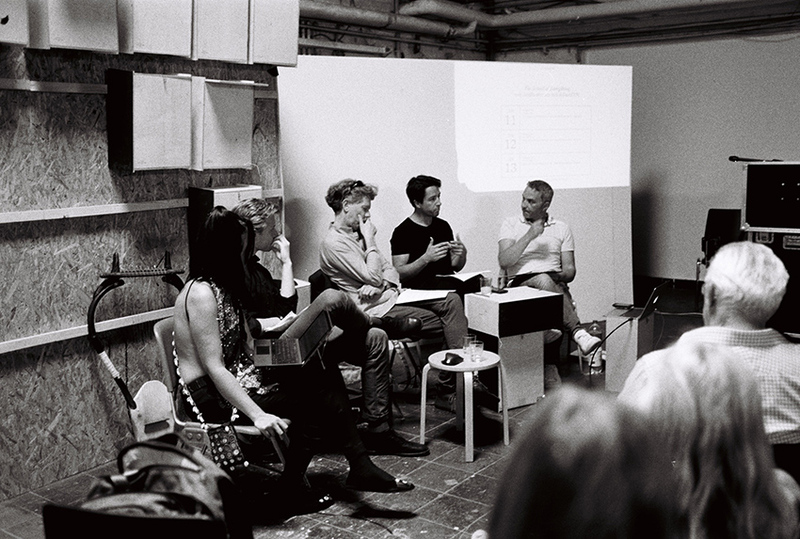 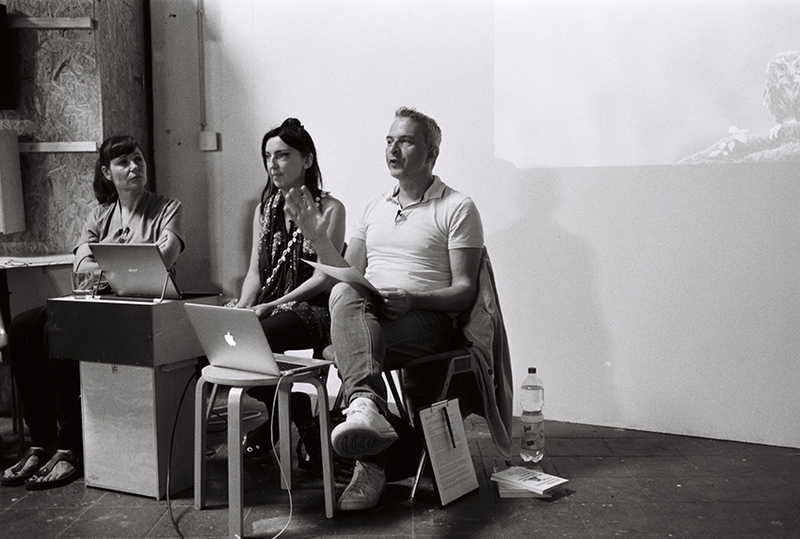 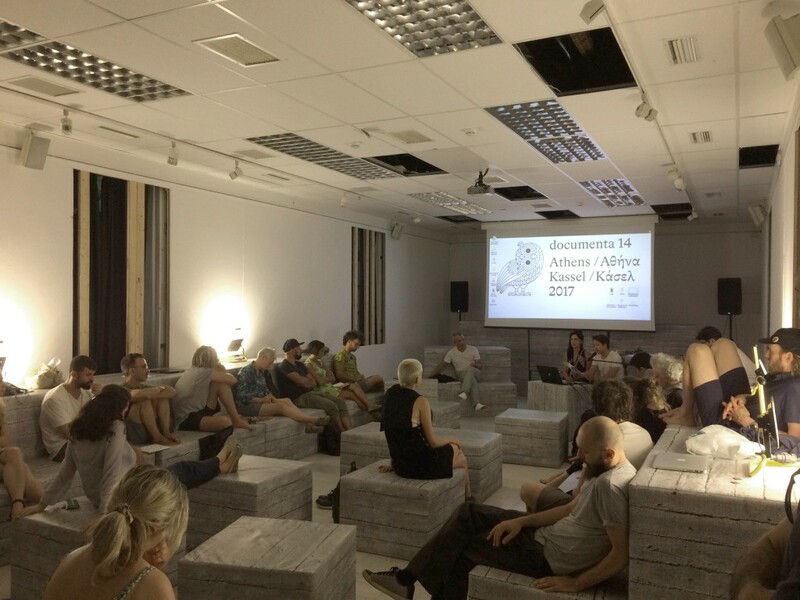 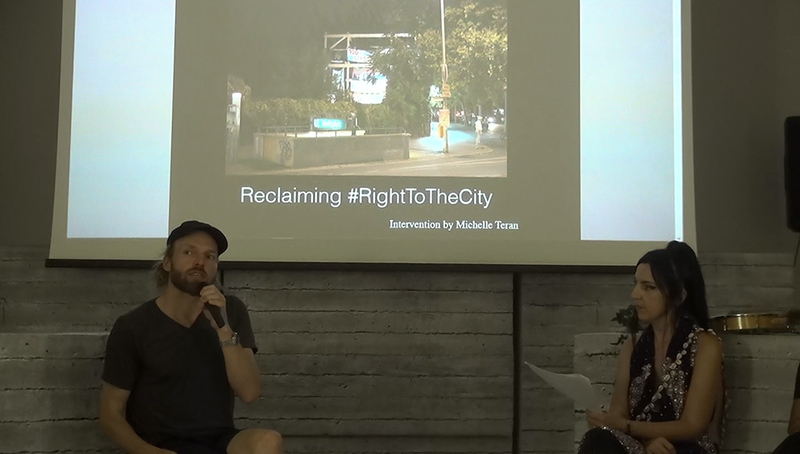 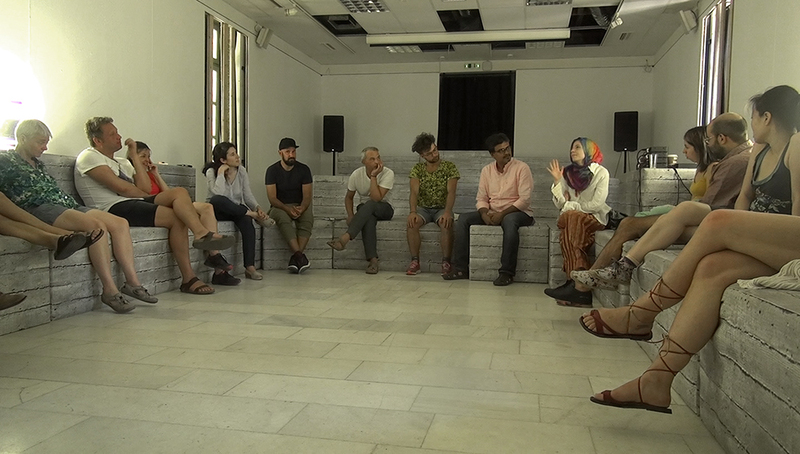 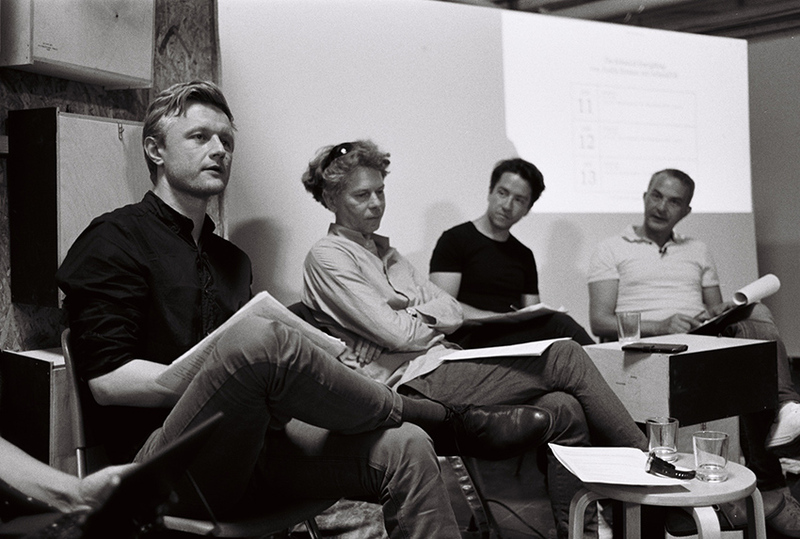 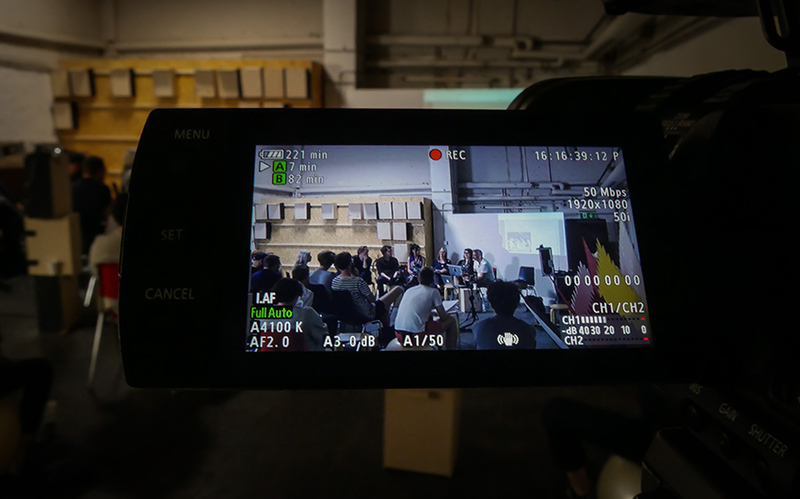 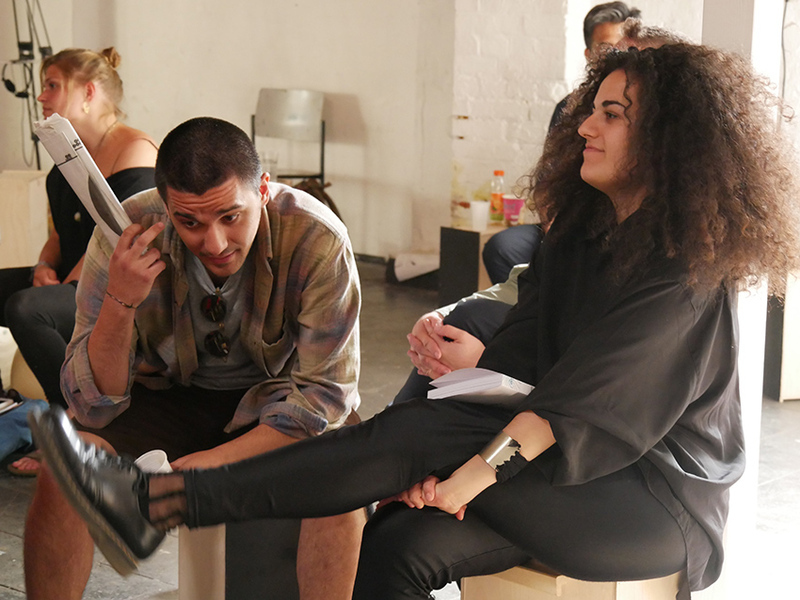 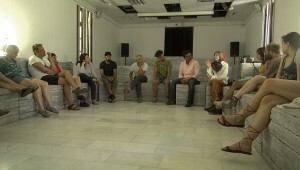 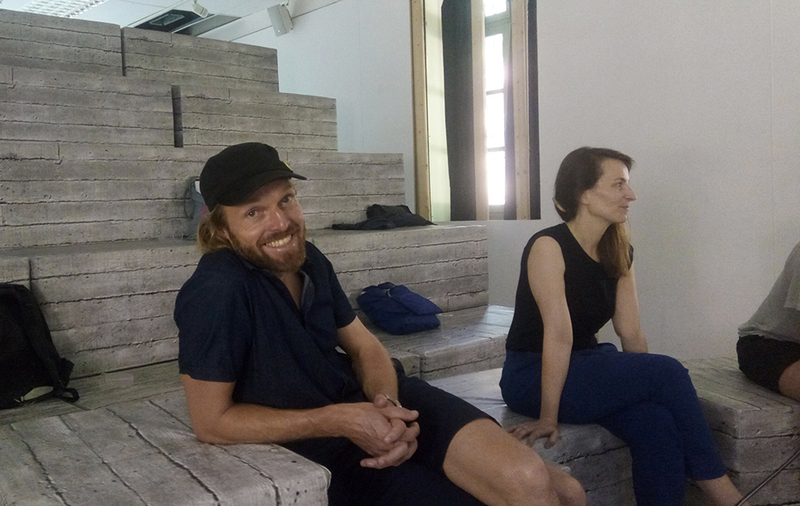 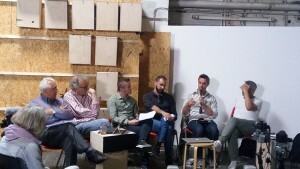 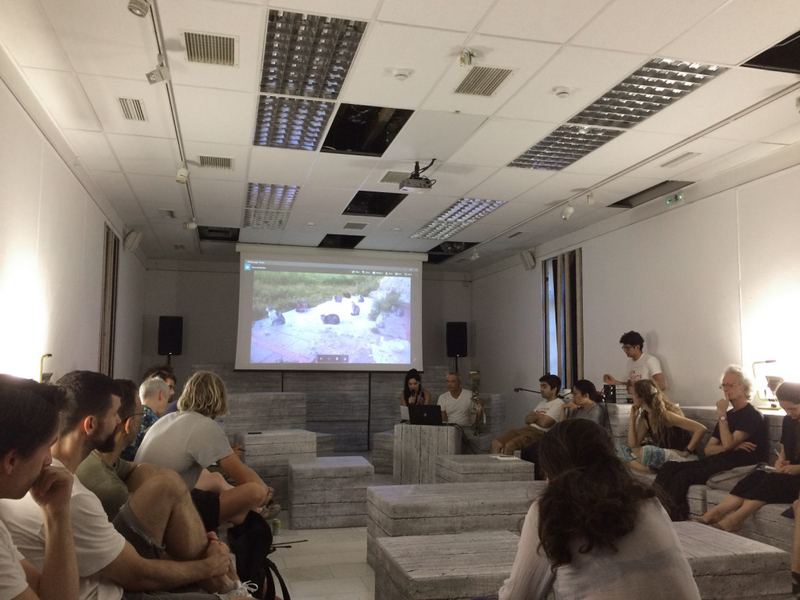 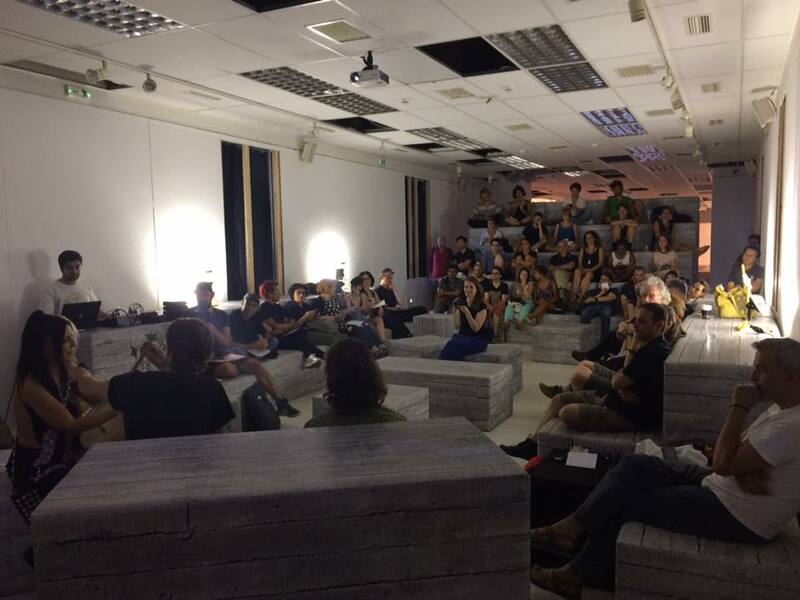 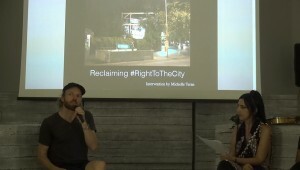 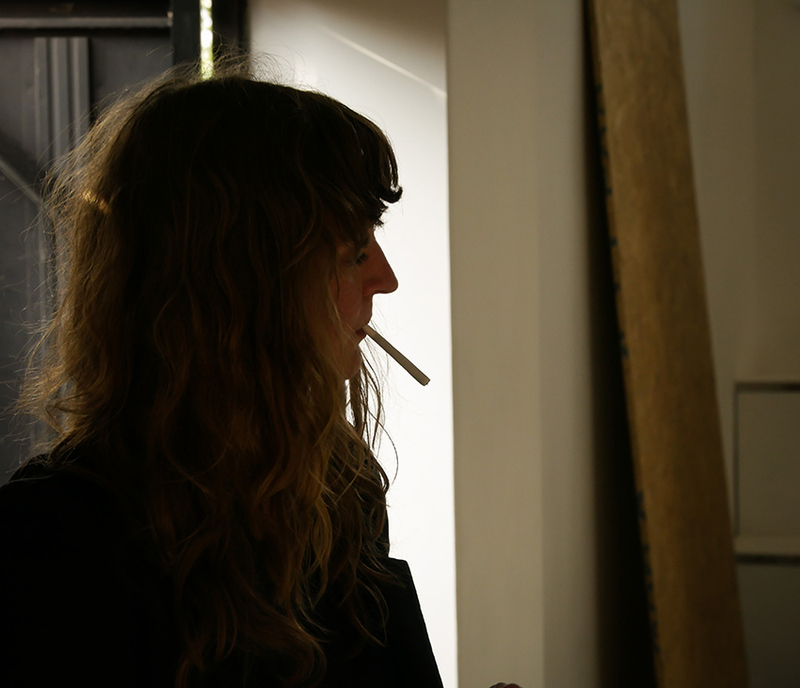 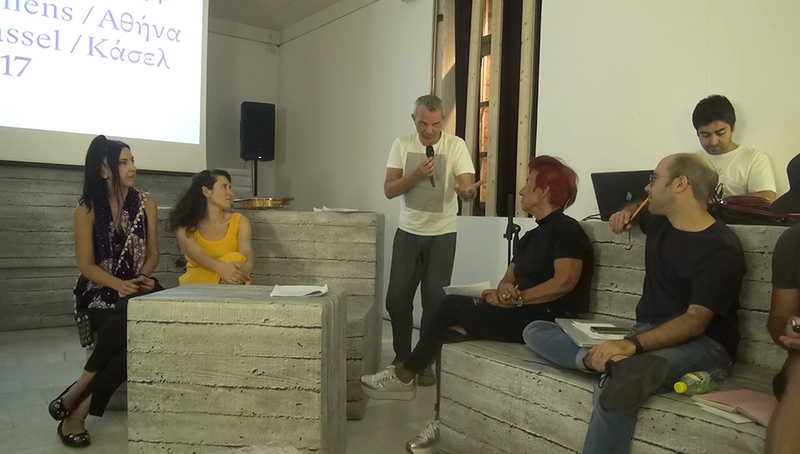 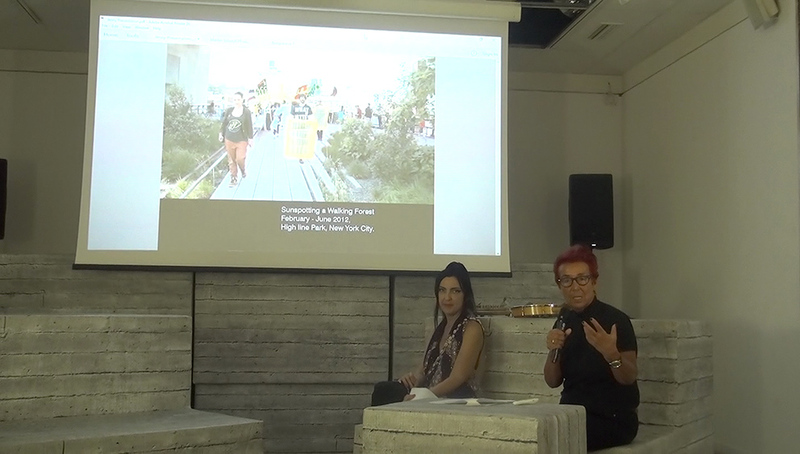 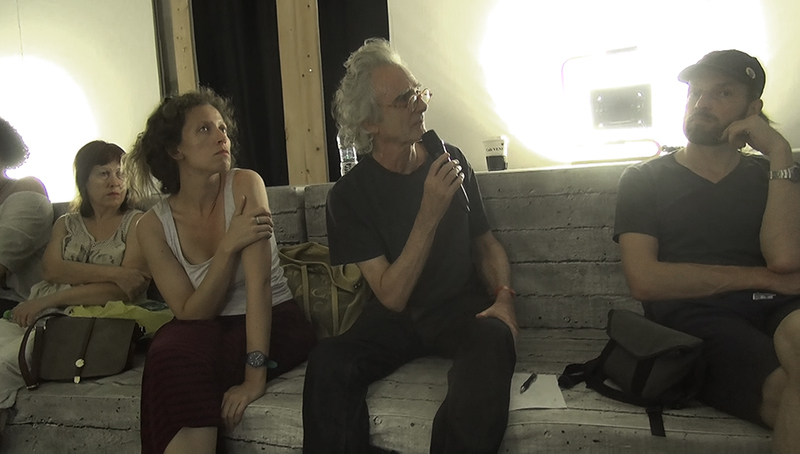 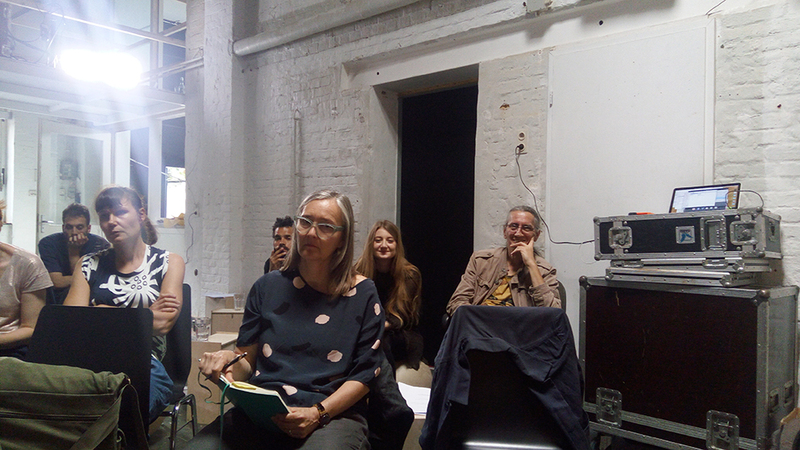 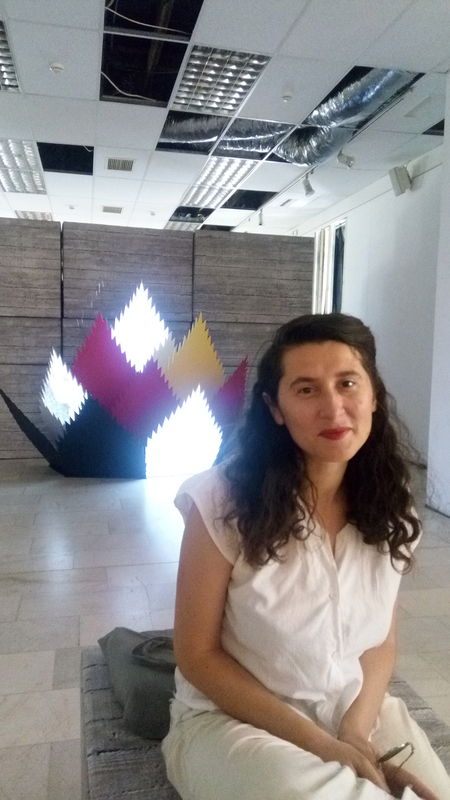 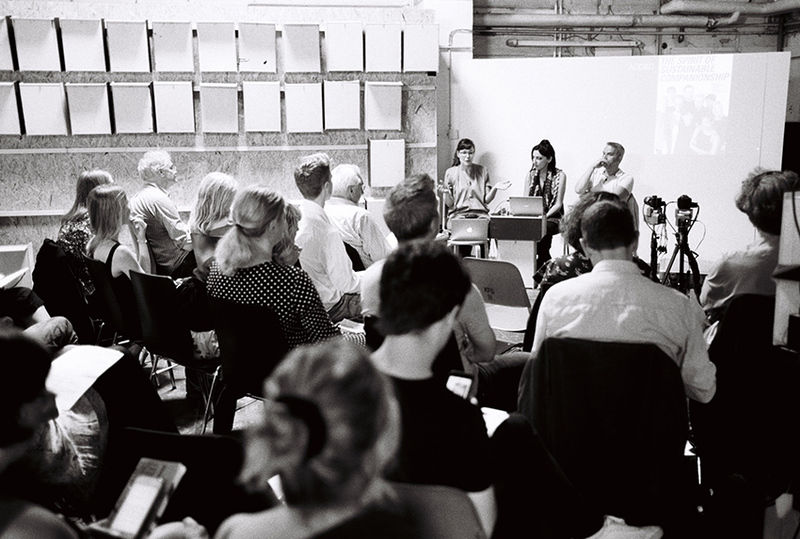 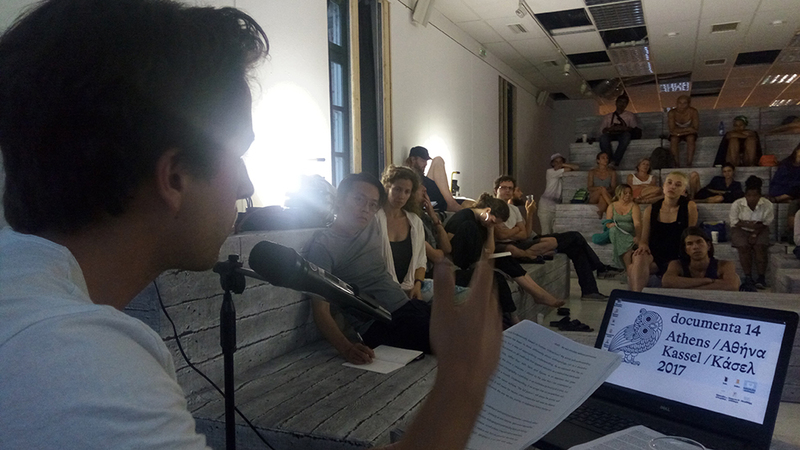 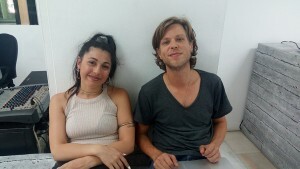 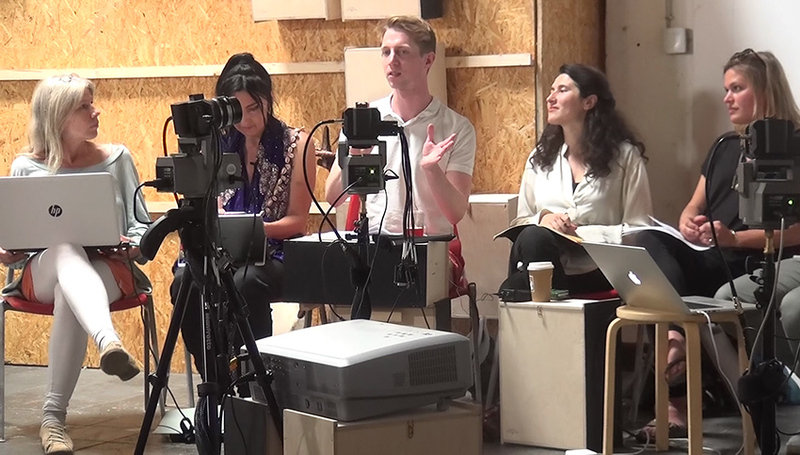 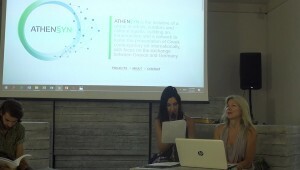 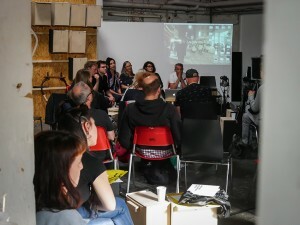 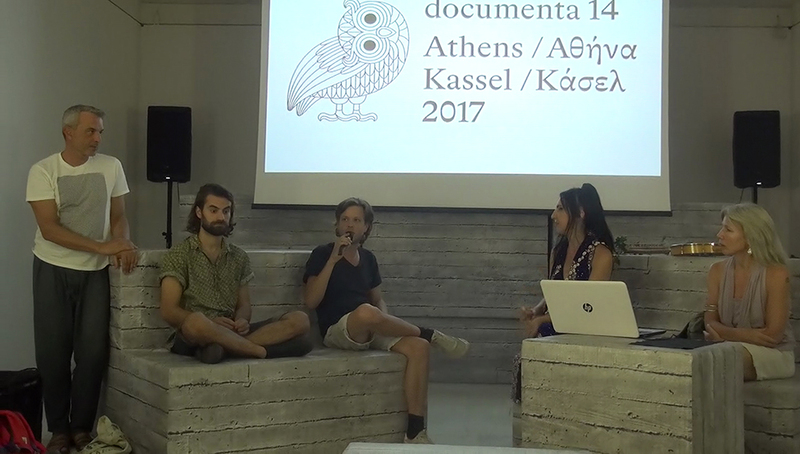 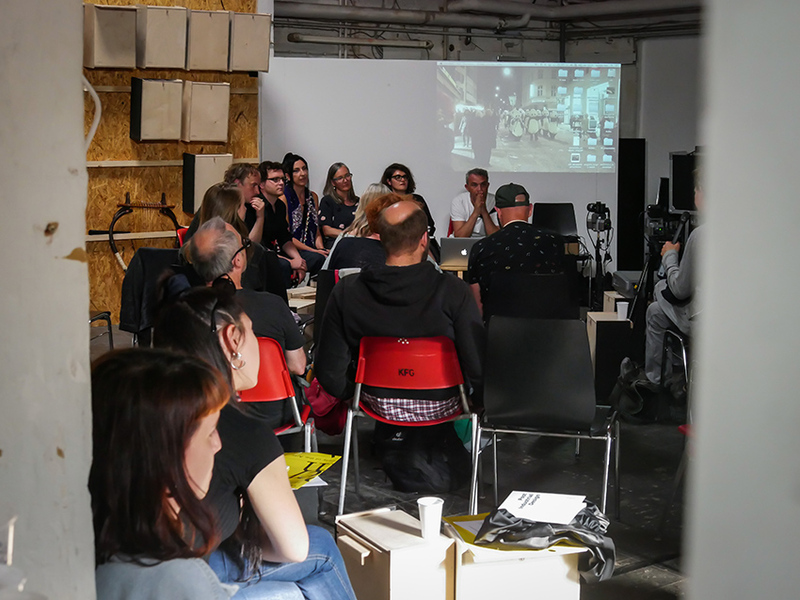 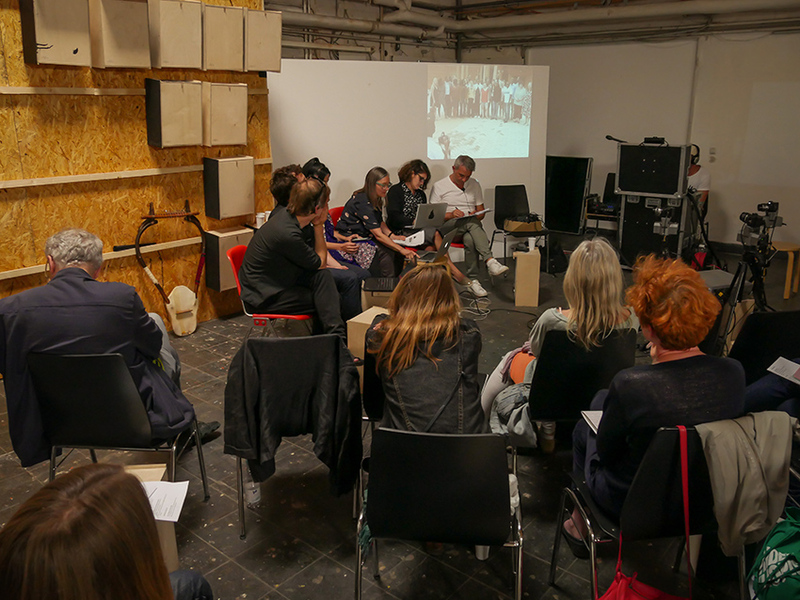 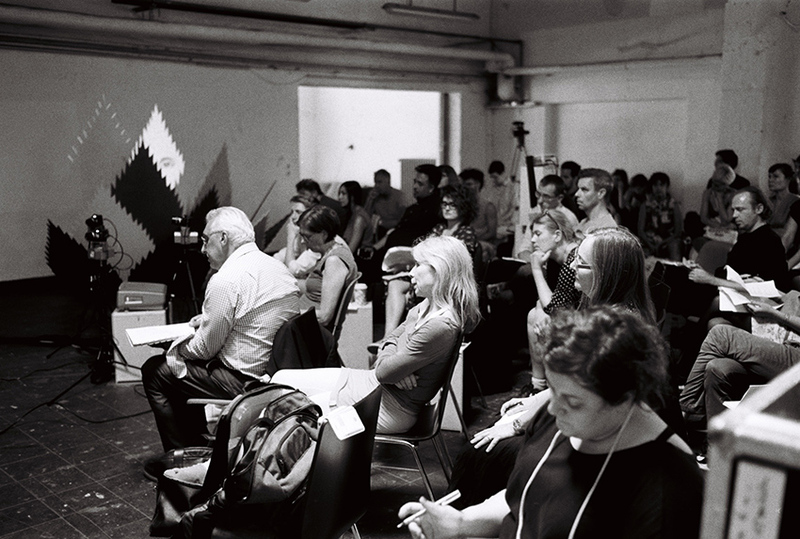 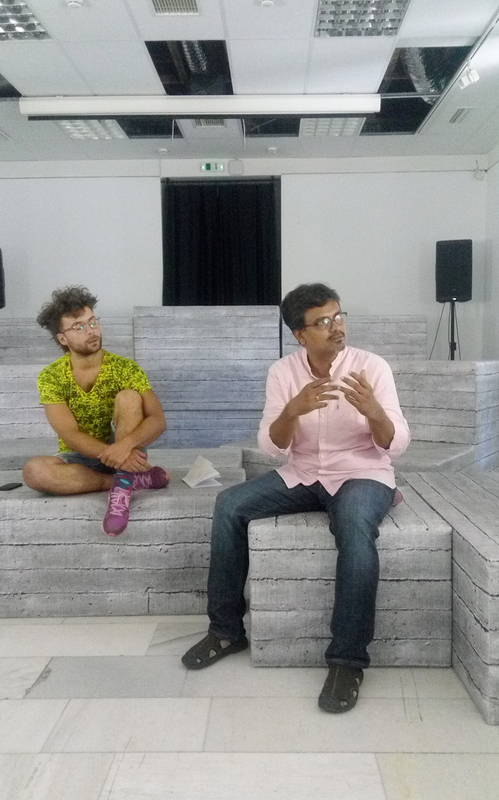 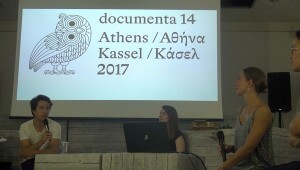 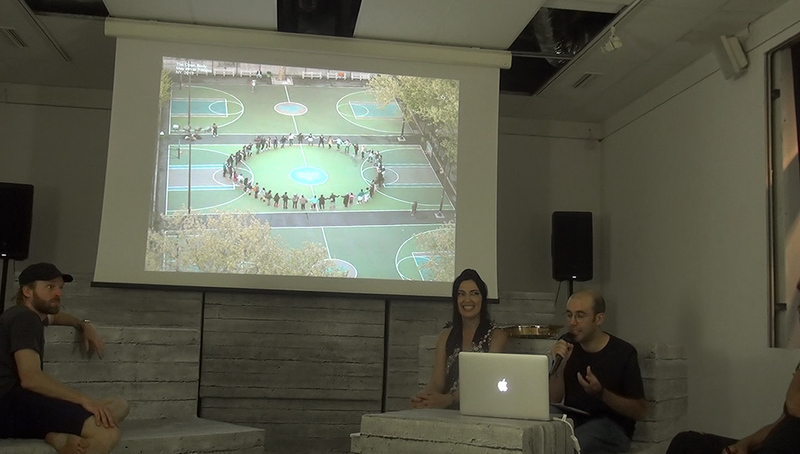 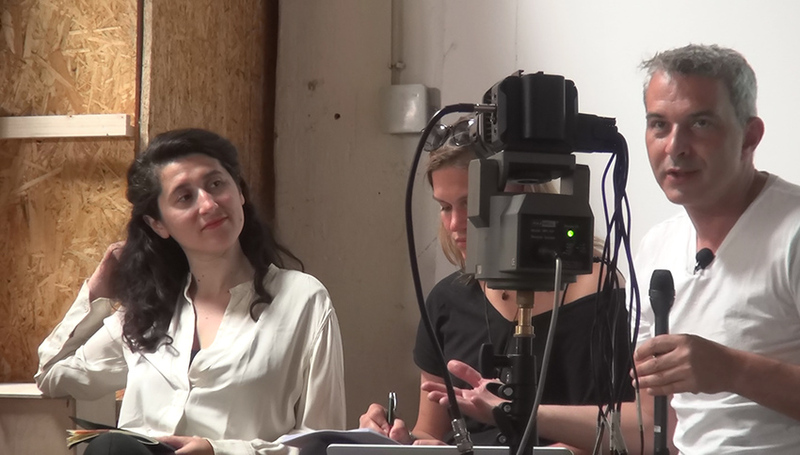 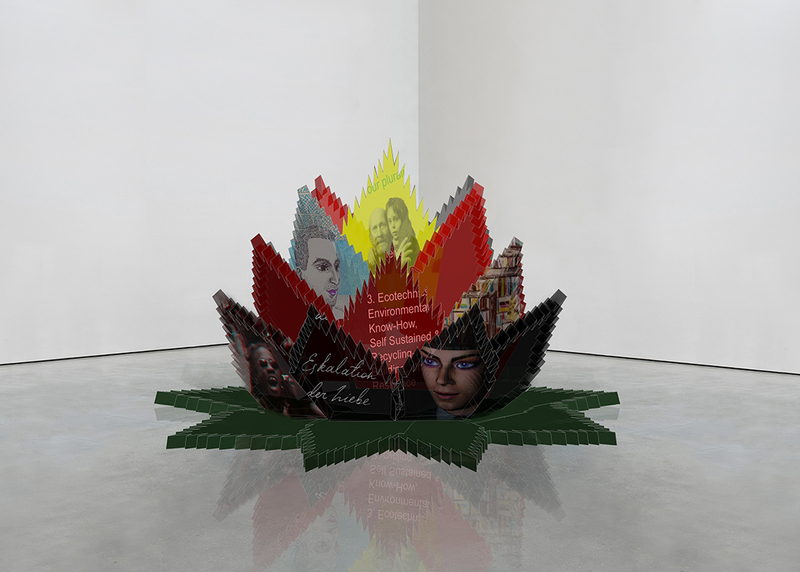 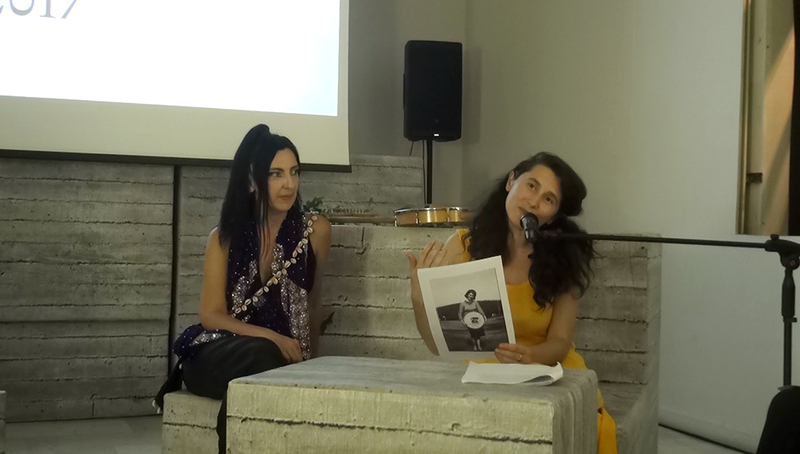 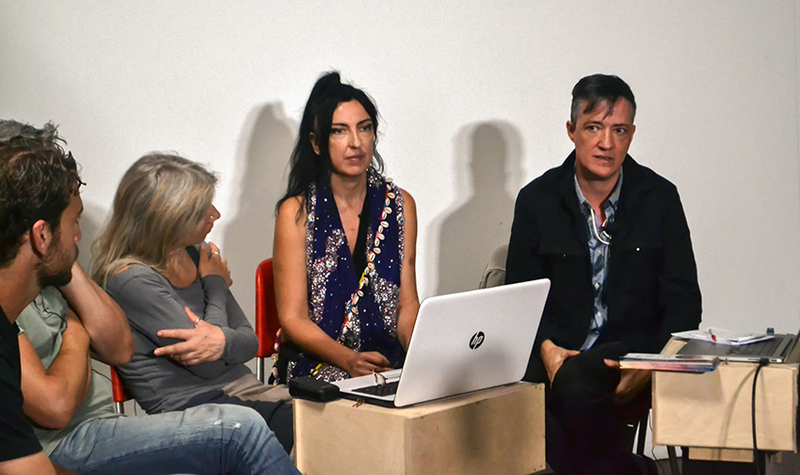 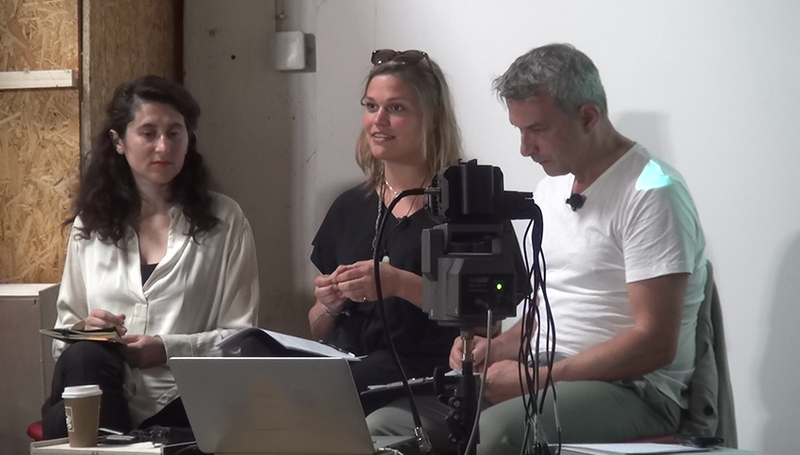 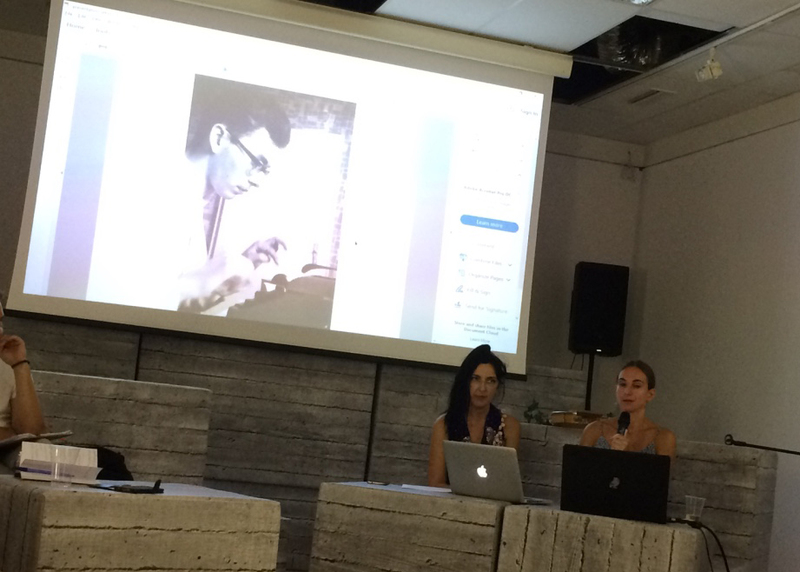 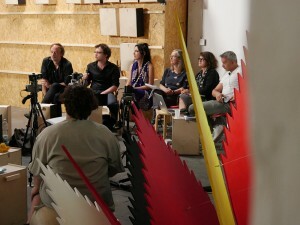 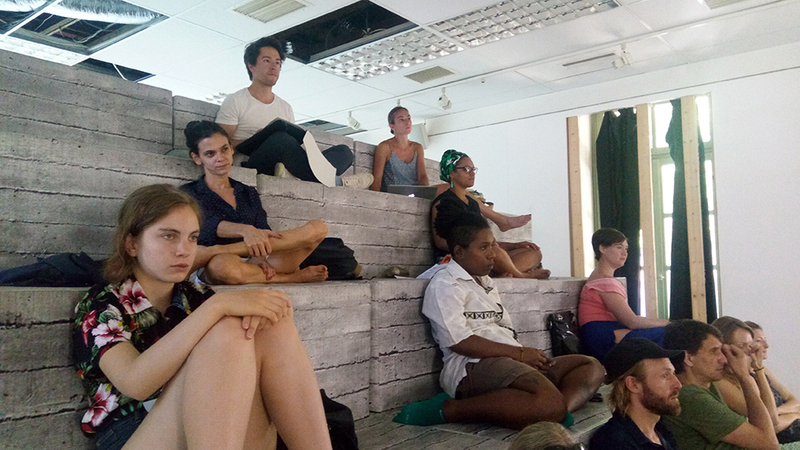 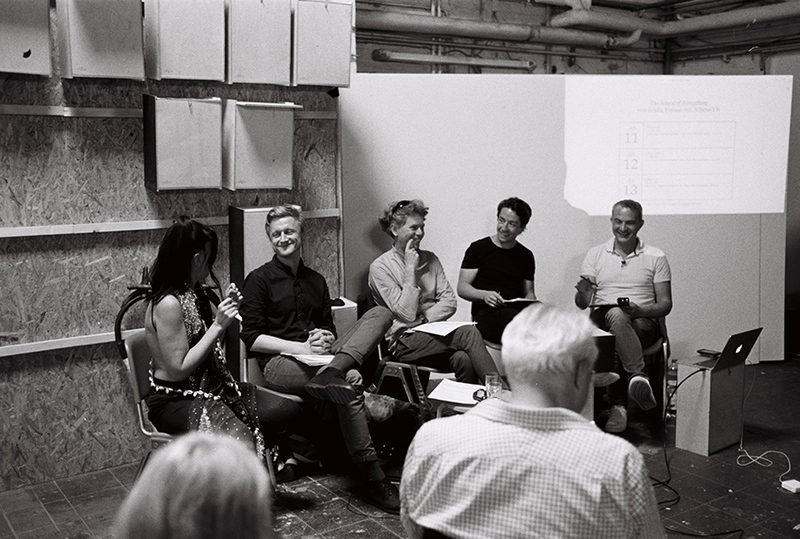 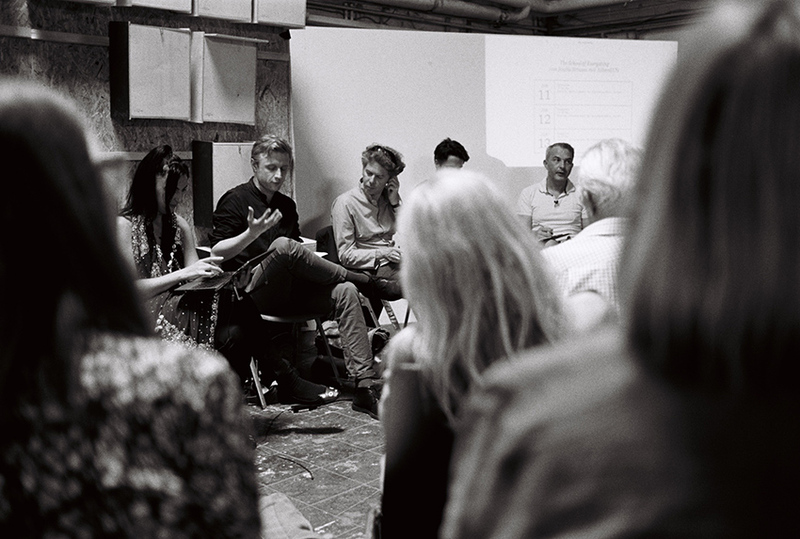 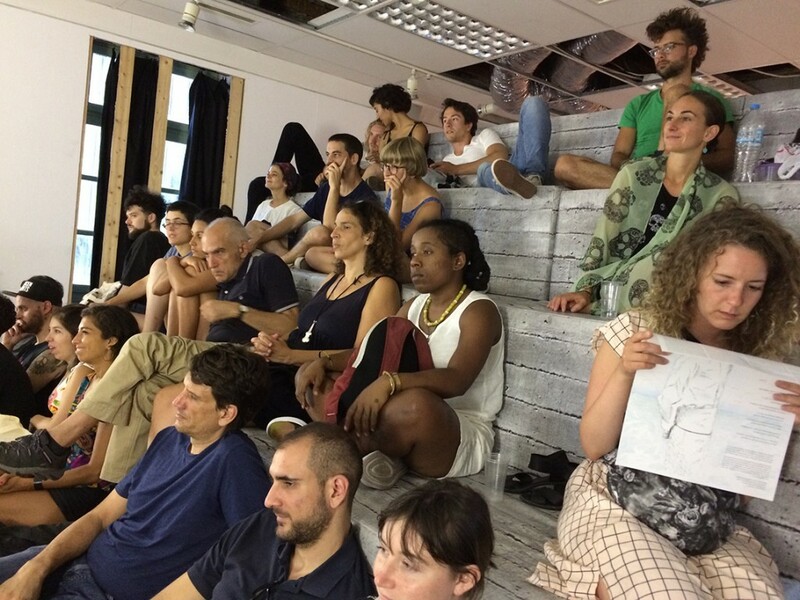 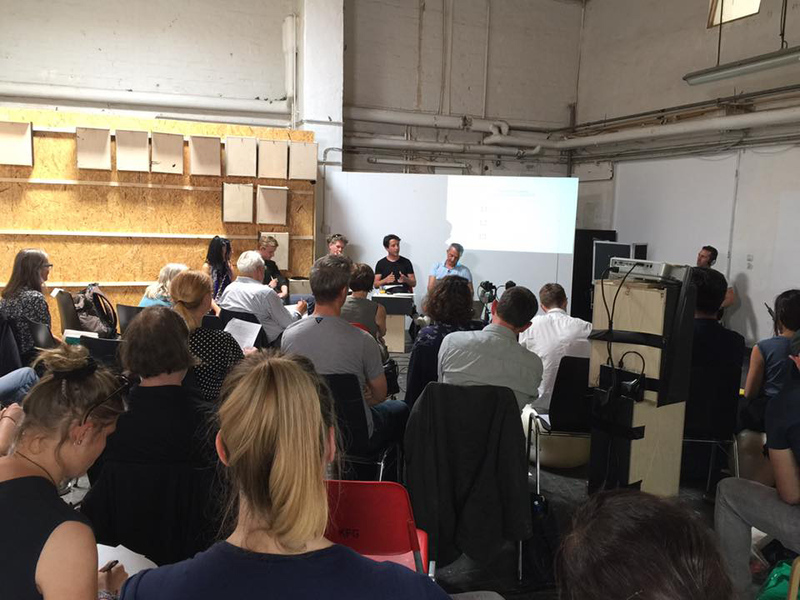 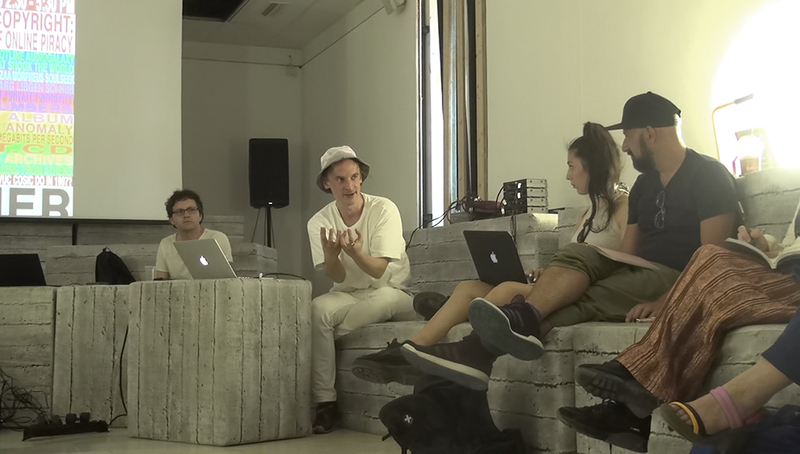 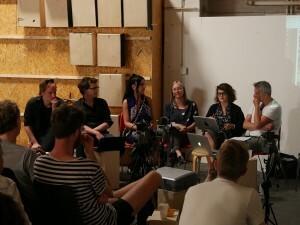 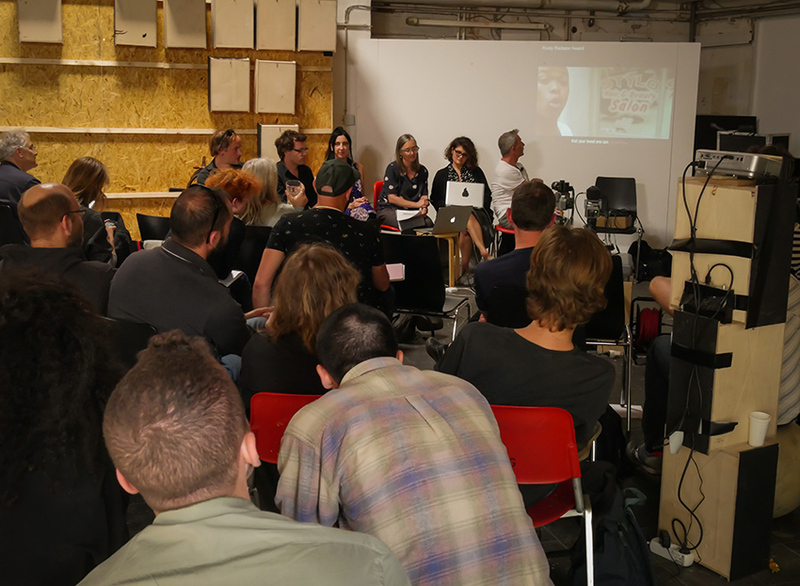 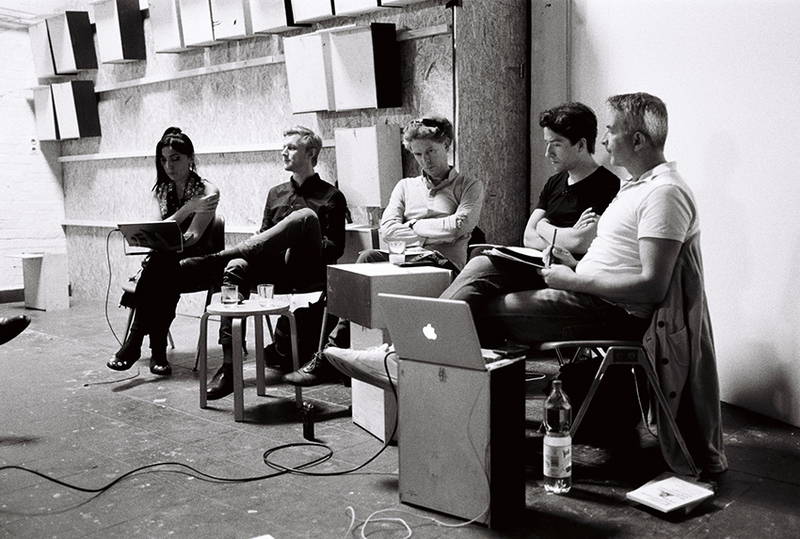 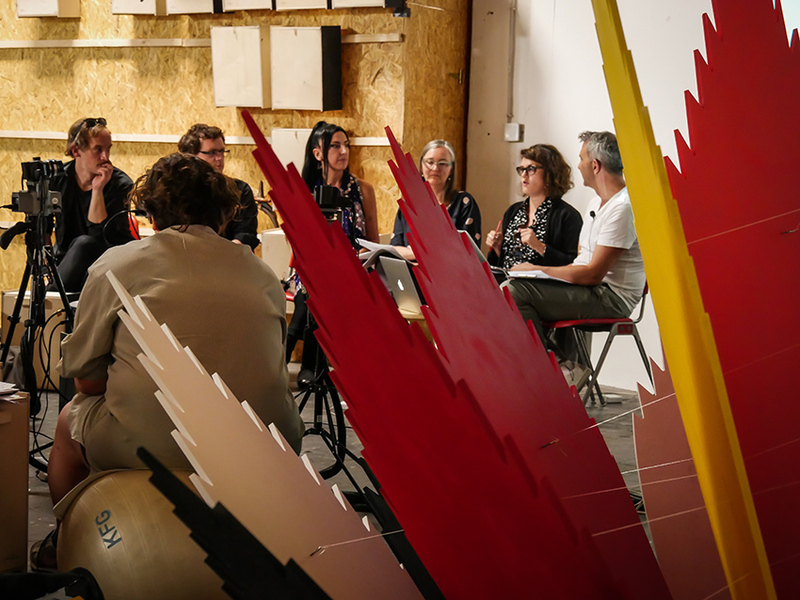 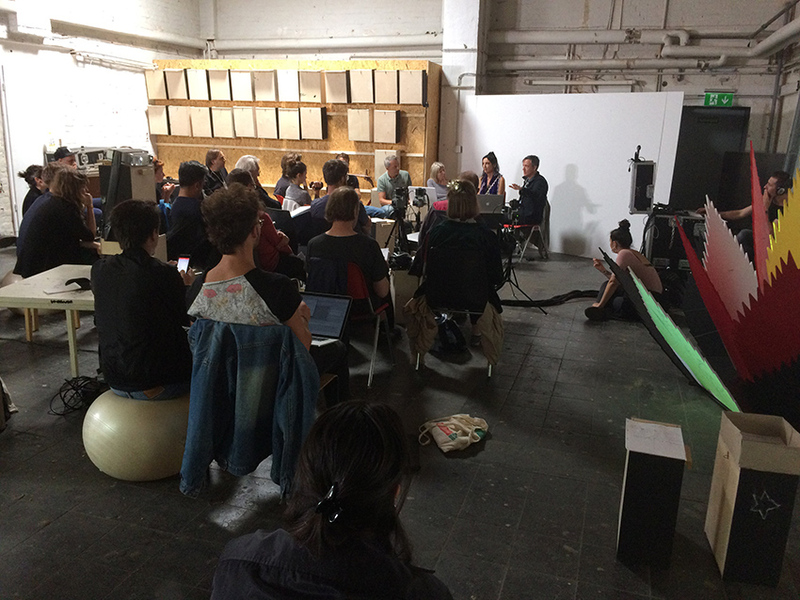 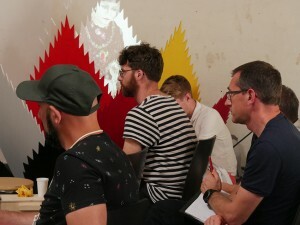 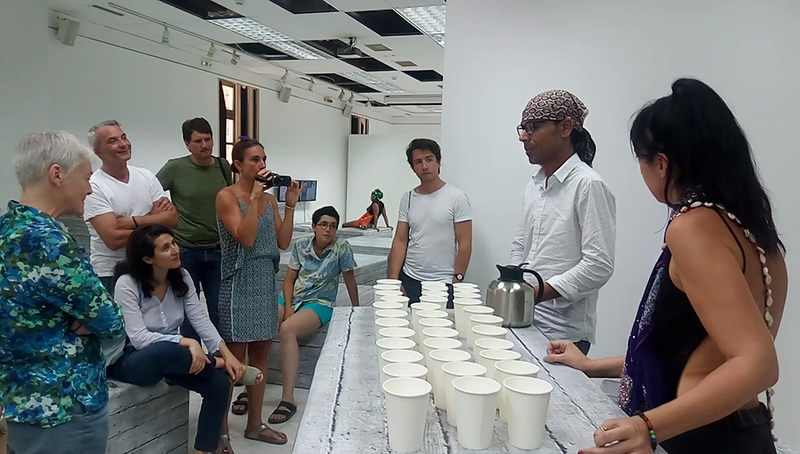 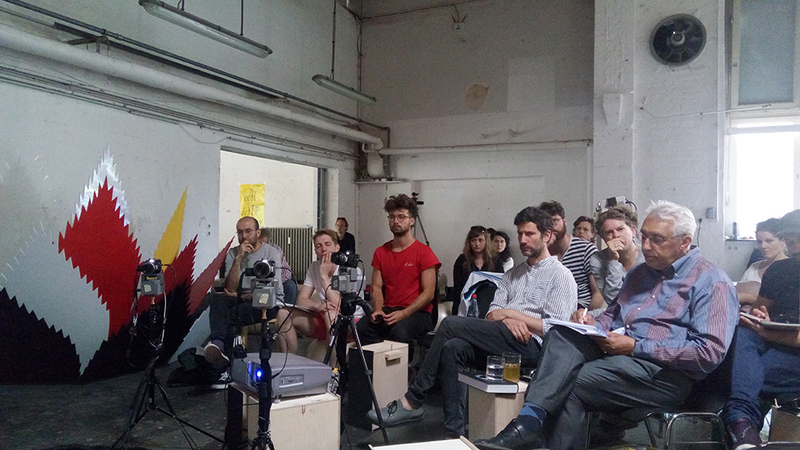 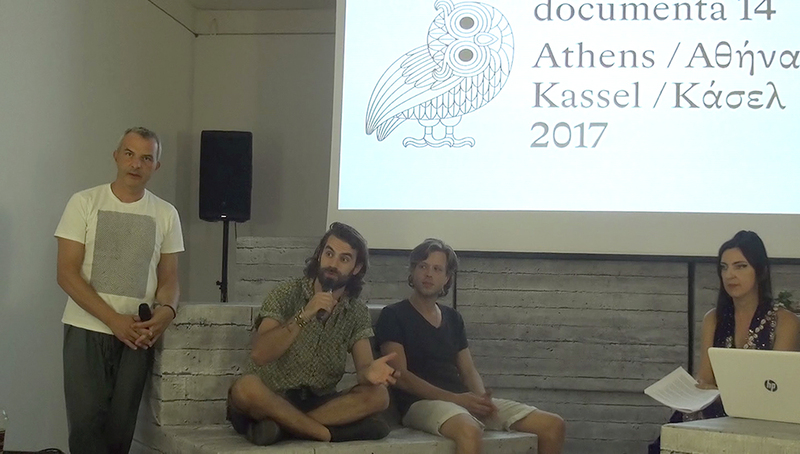 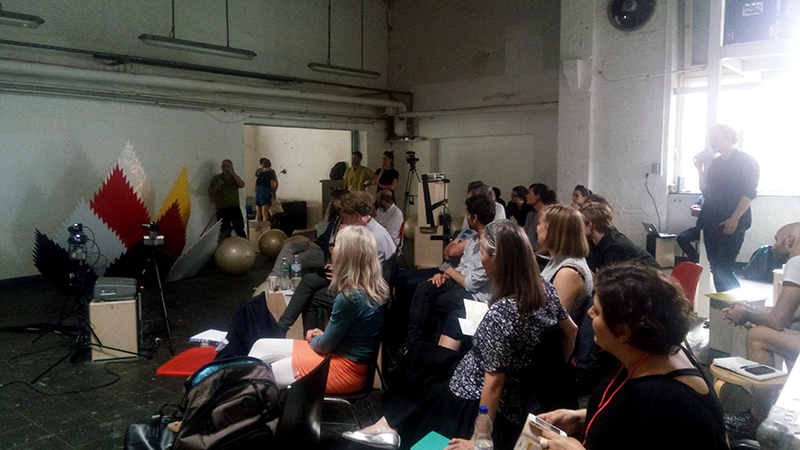 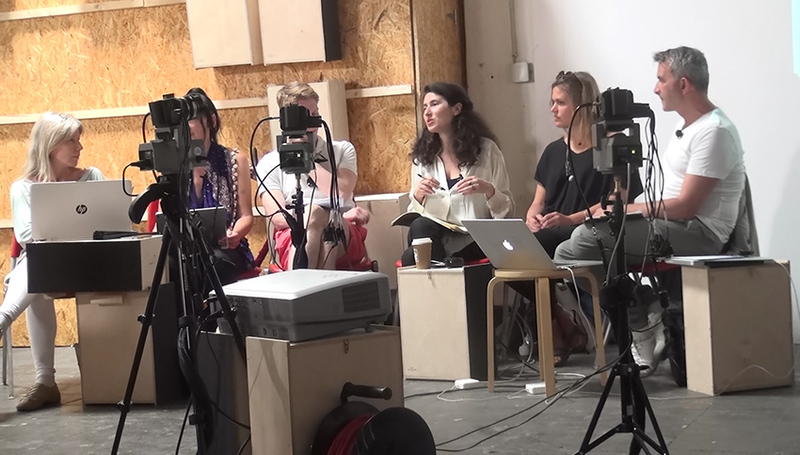 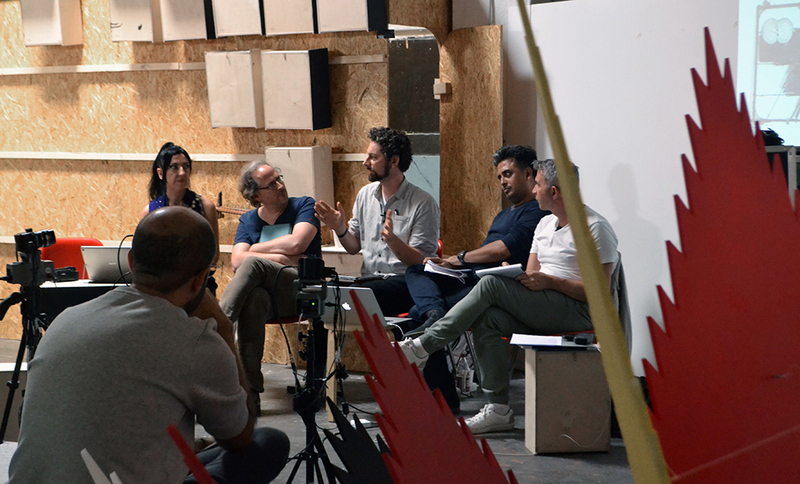 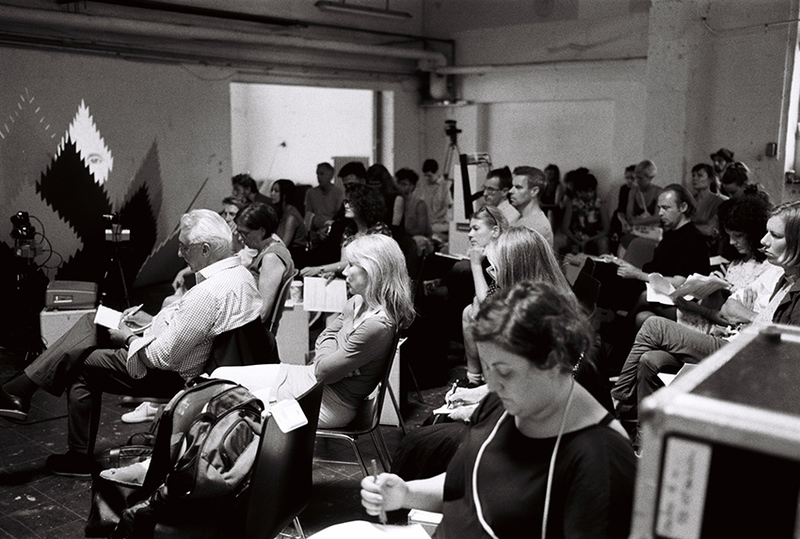 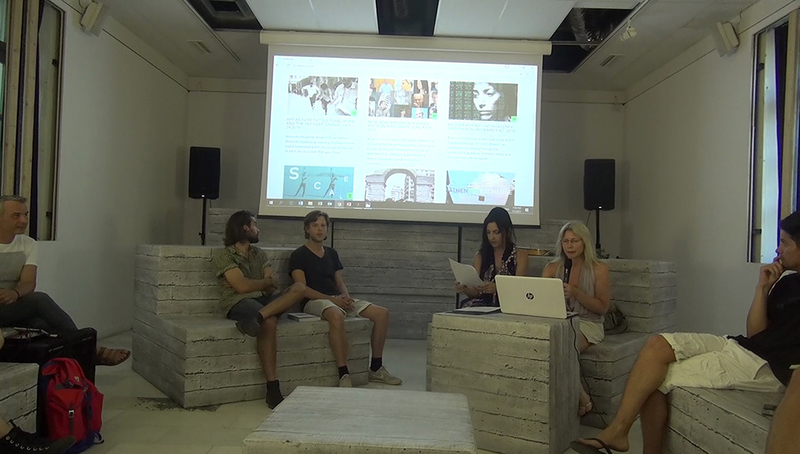 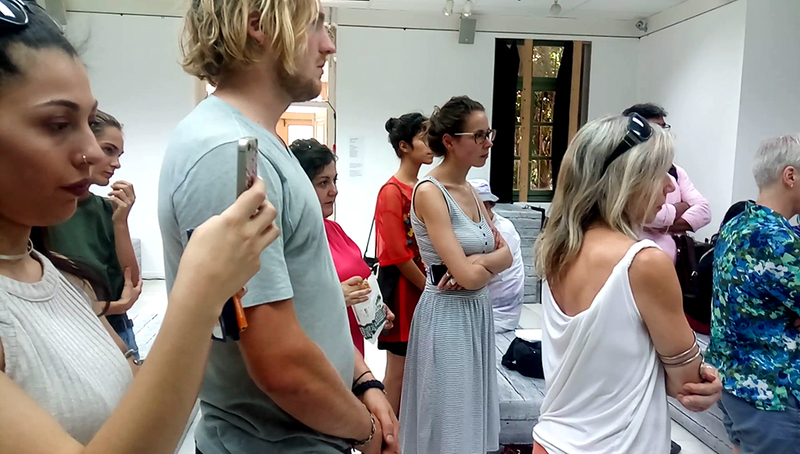 During the opening days of documenta 14 in Kassel and during its closing days in Athens, a meeting of initiatives which aimed to transform the European educational system took place. 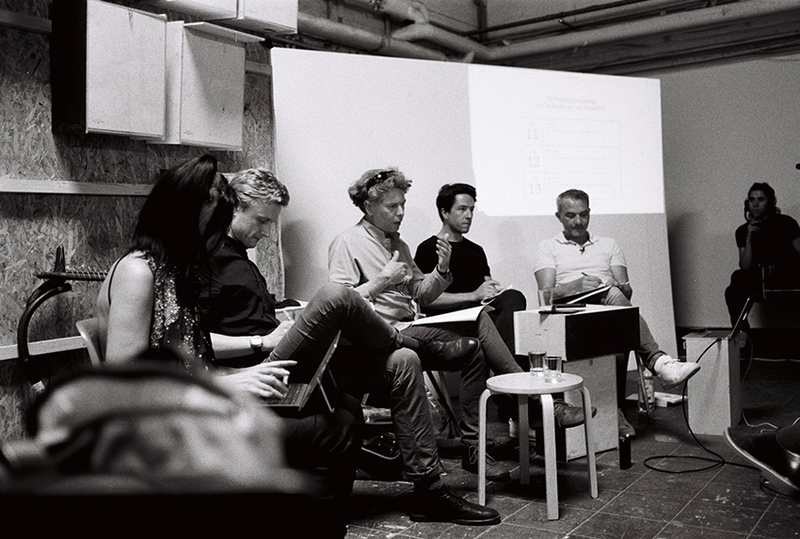 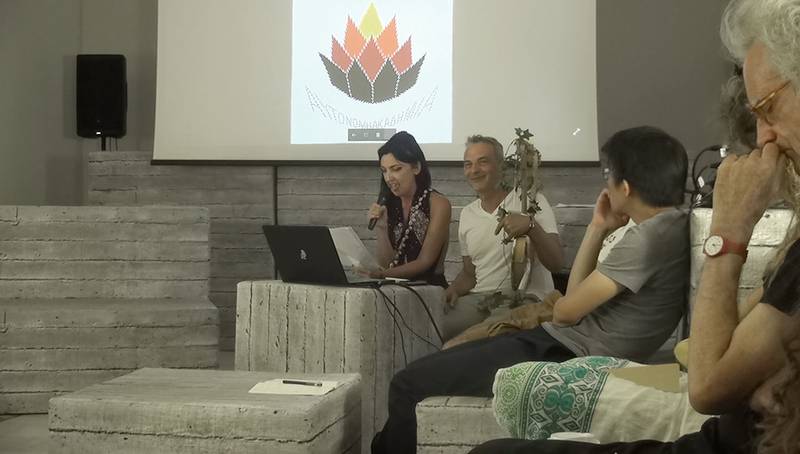 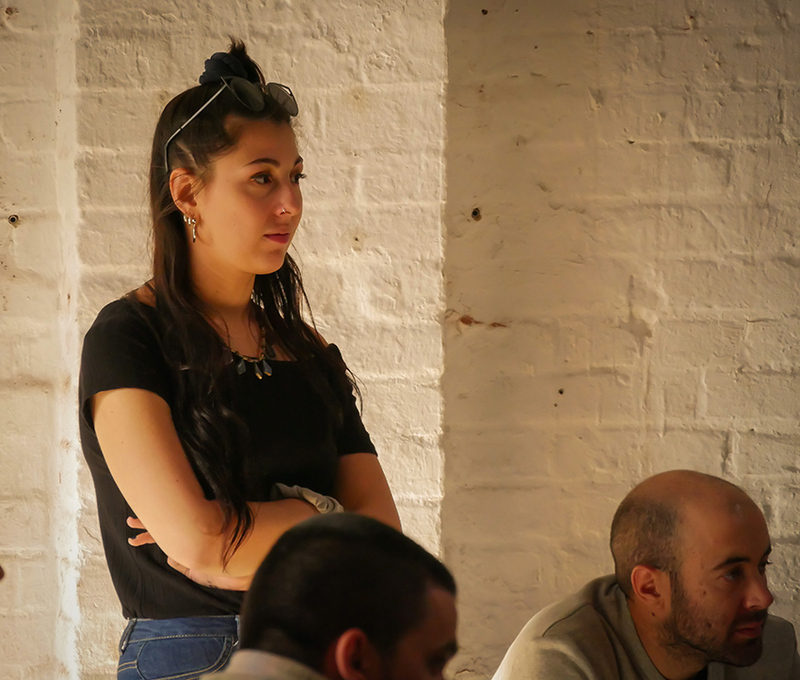 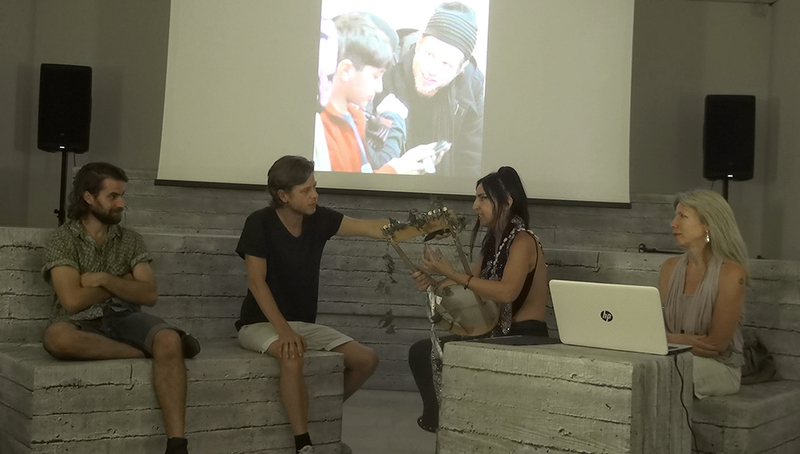 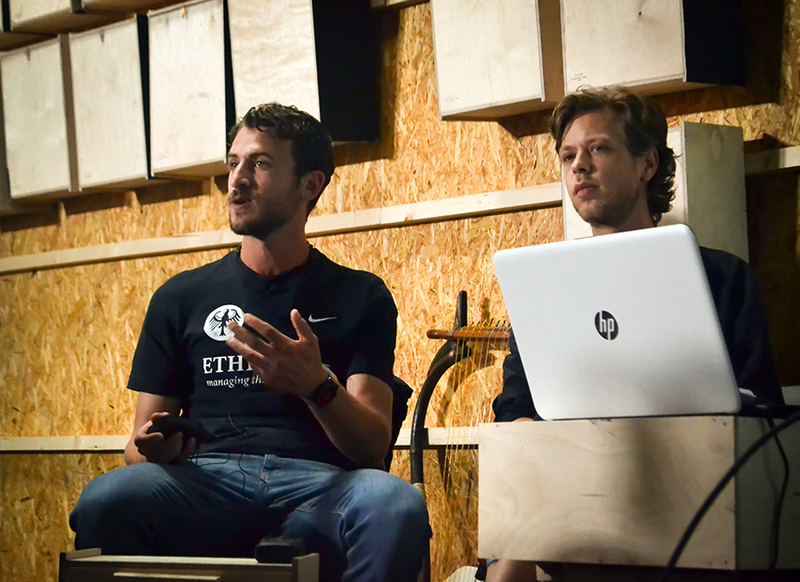 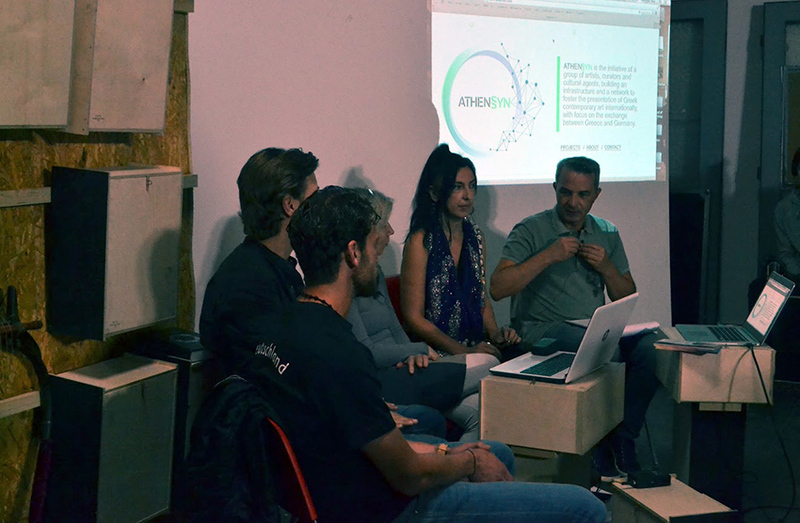 We were building an educational system consisting of politically motivated and artistic initiatives for sharing knowledge, and of proposals by thinkers who see education as decisive for social change. 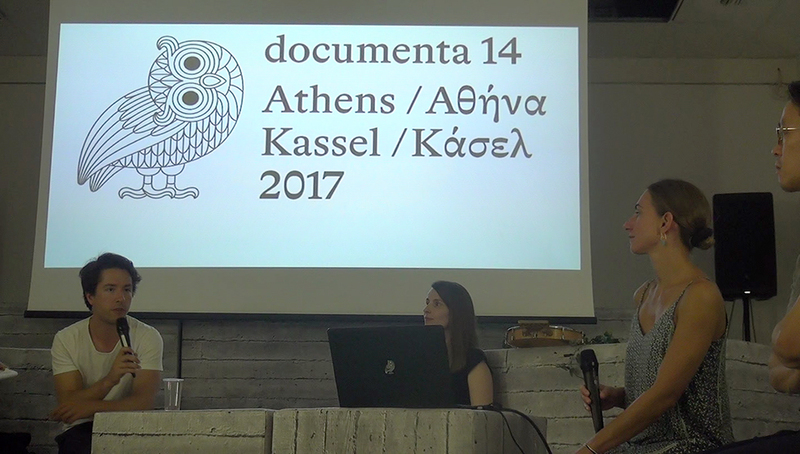 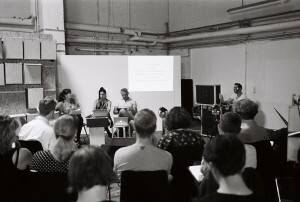 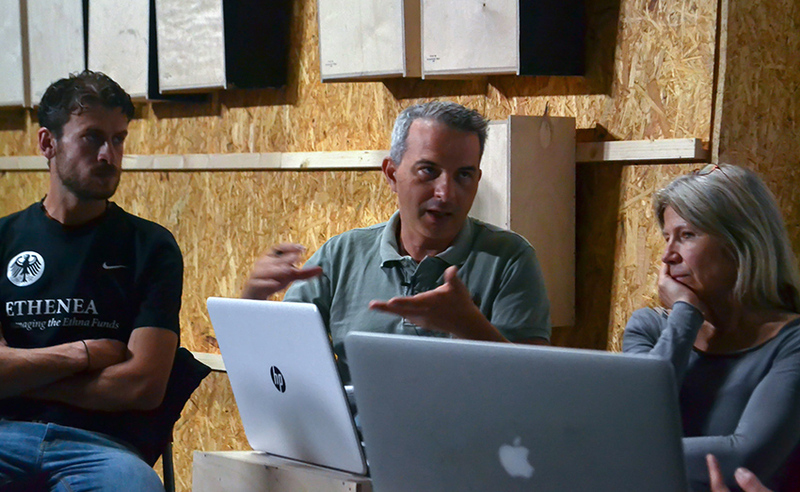 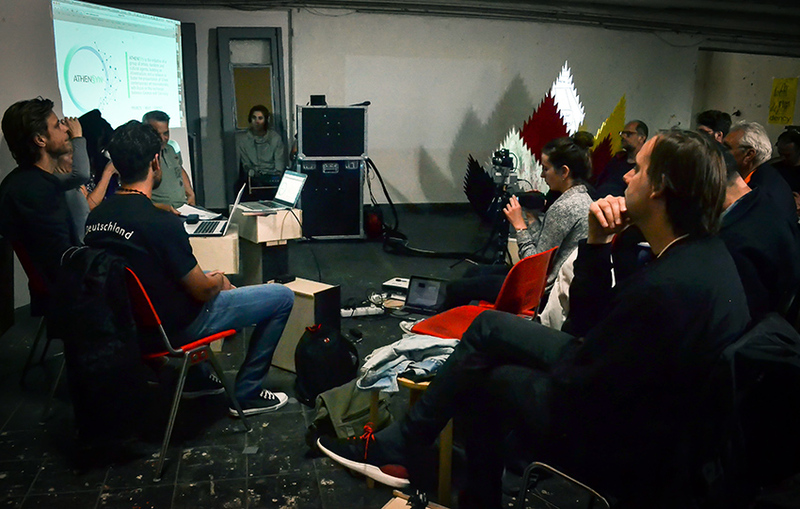 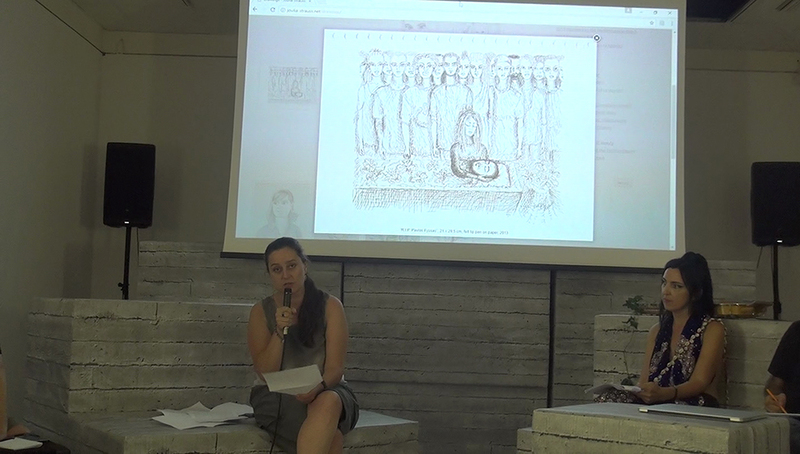 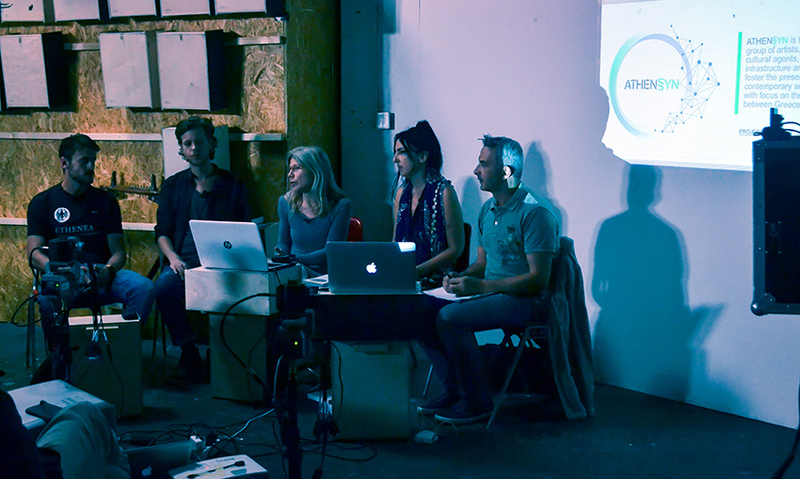 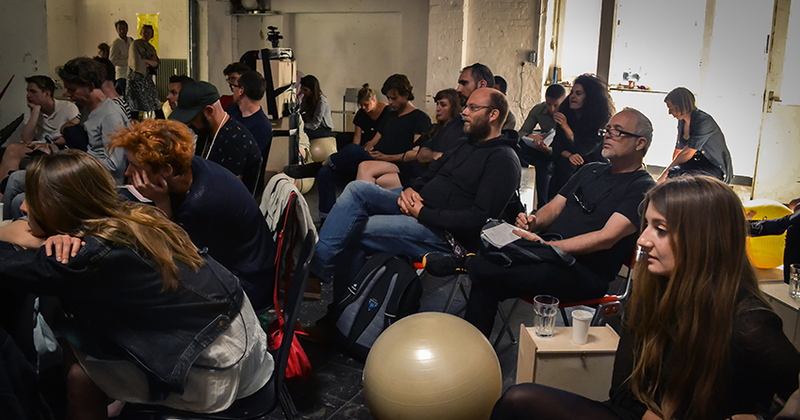 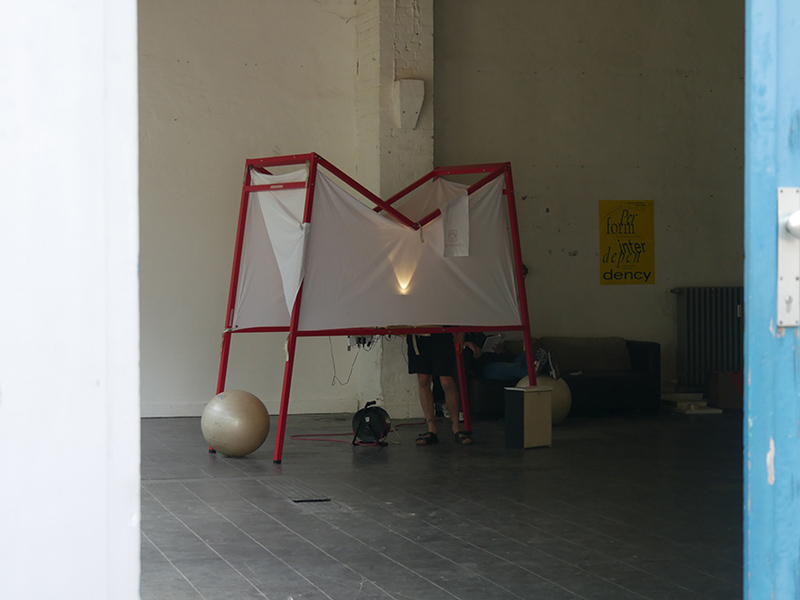 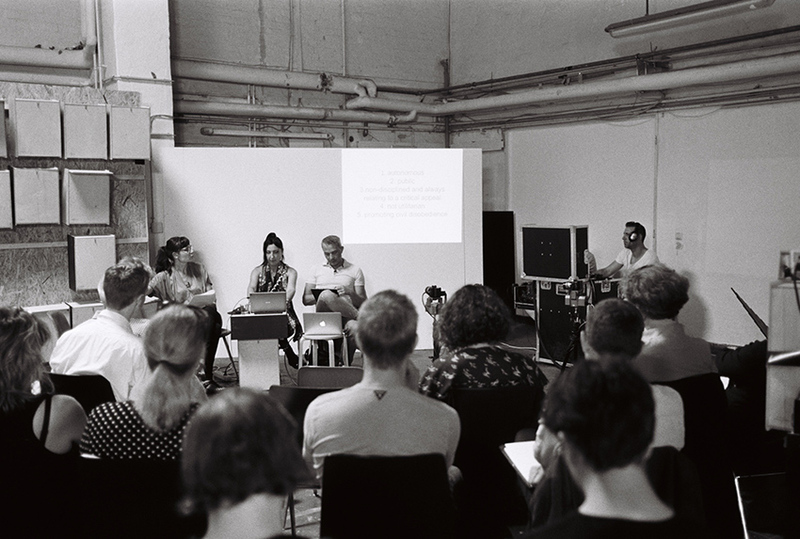 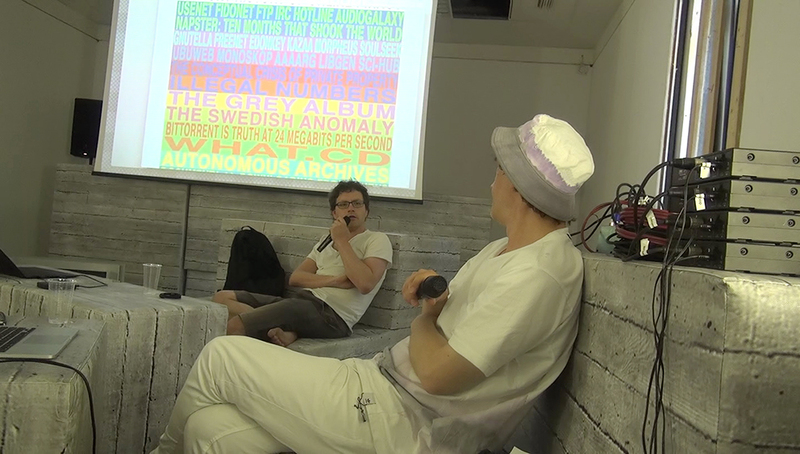 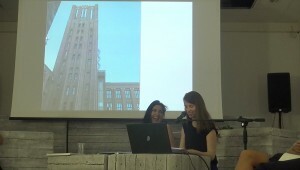 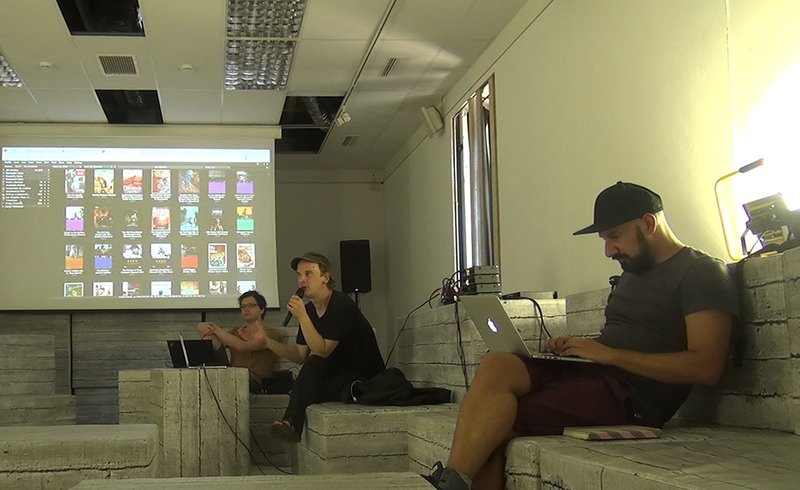 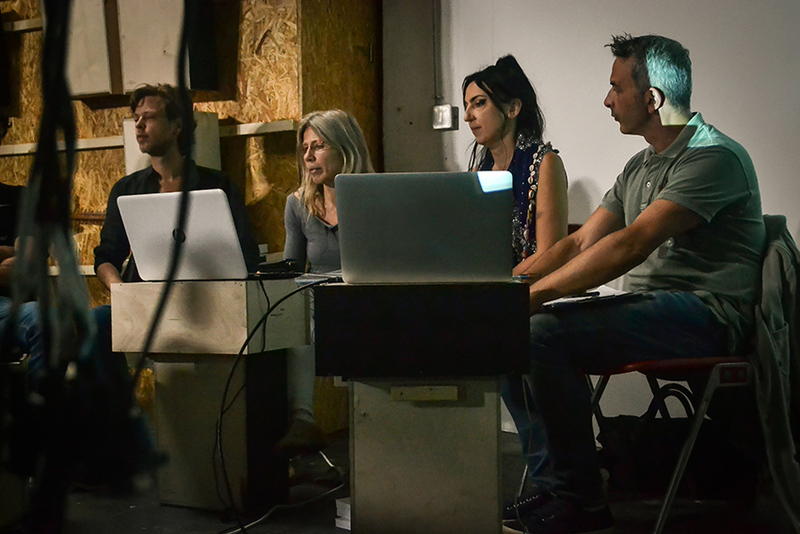 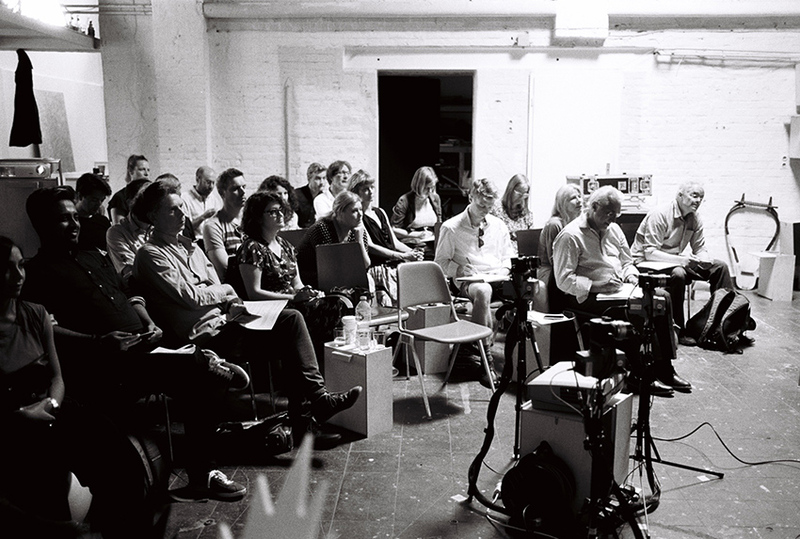 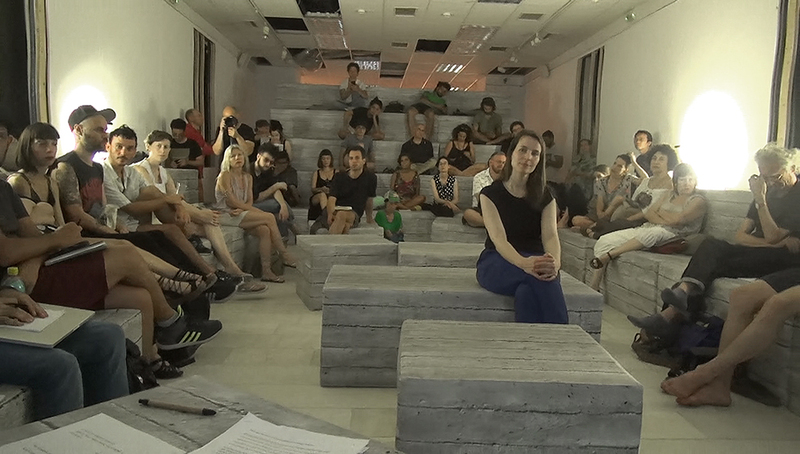 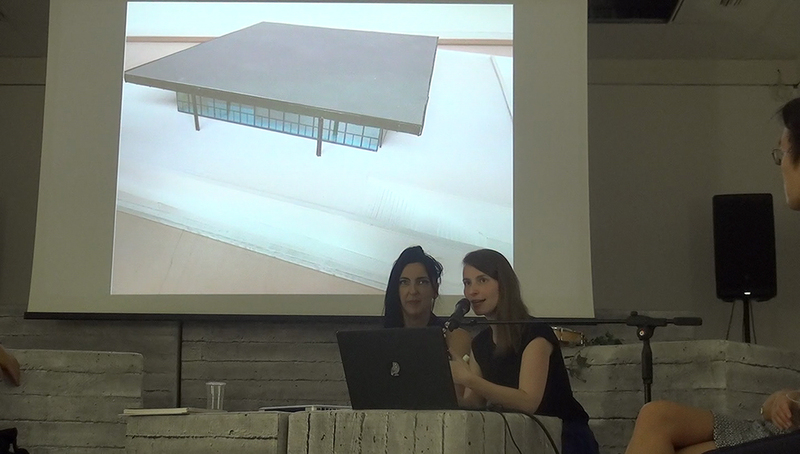 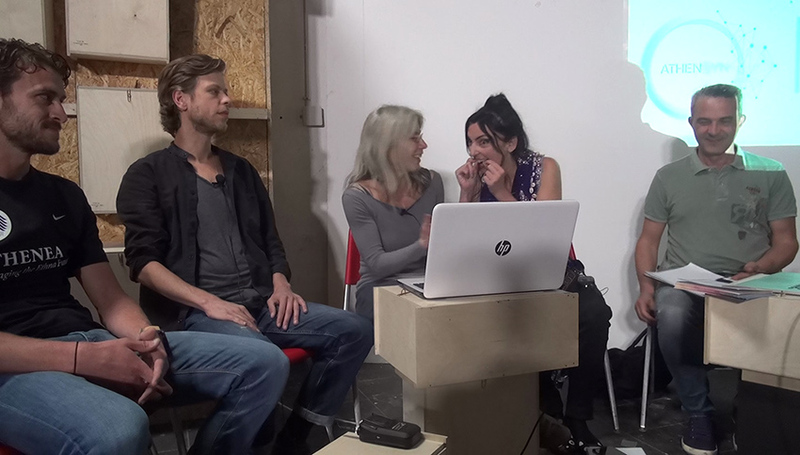 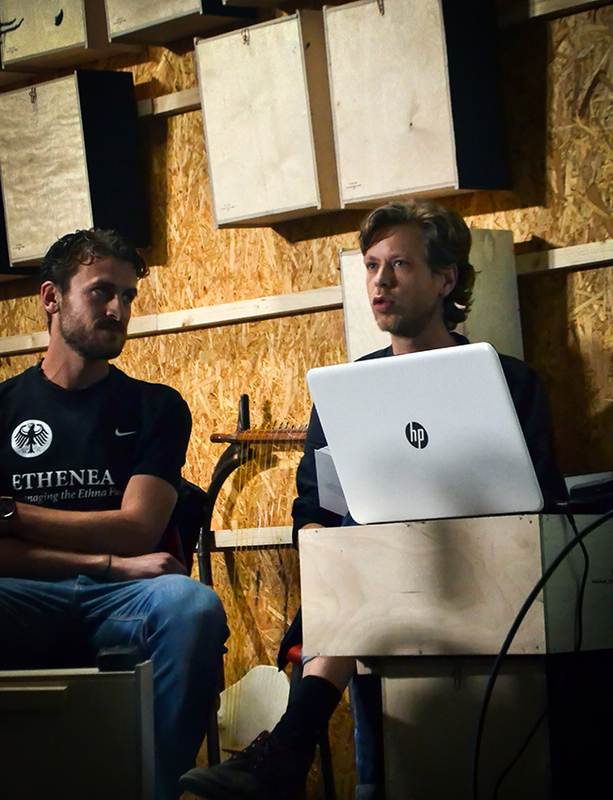 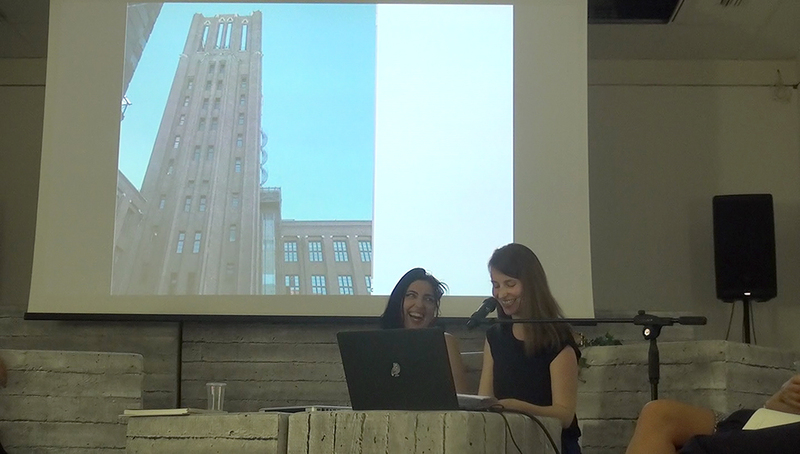 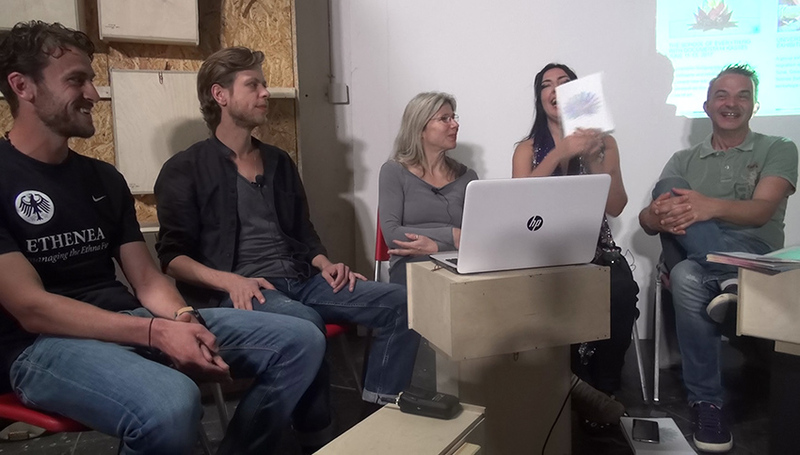 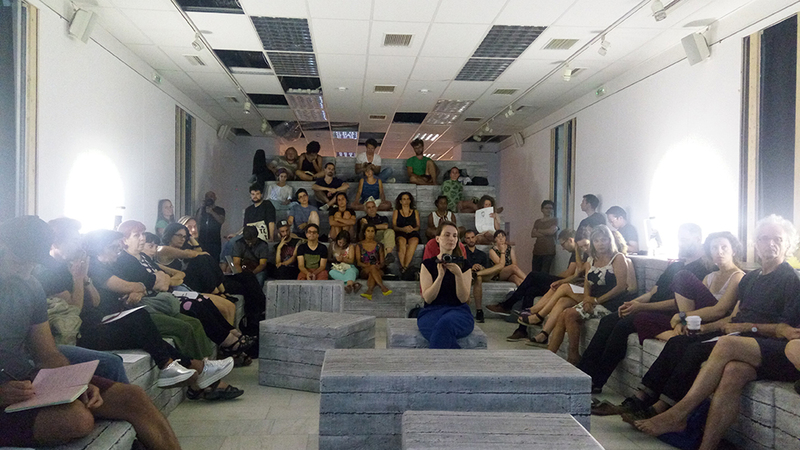 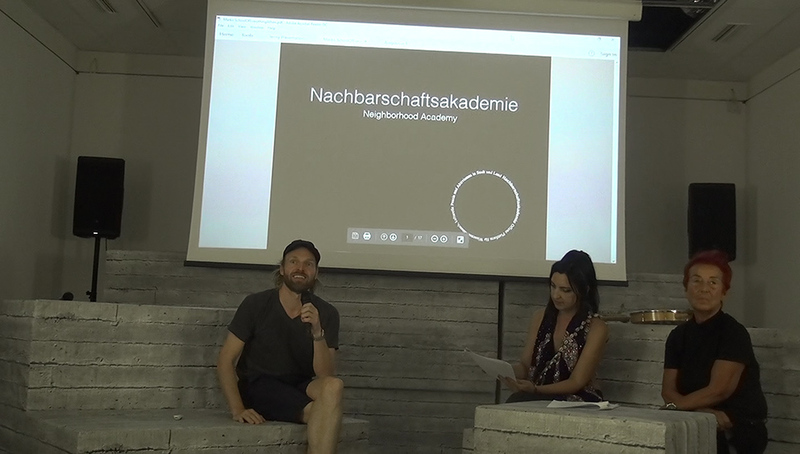 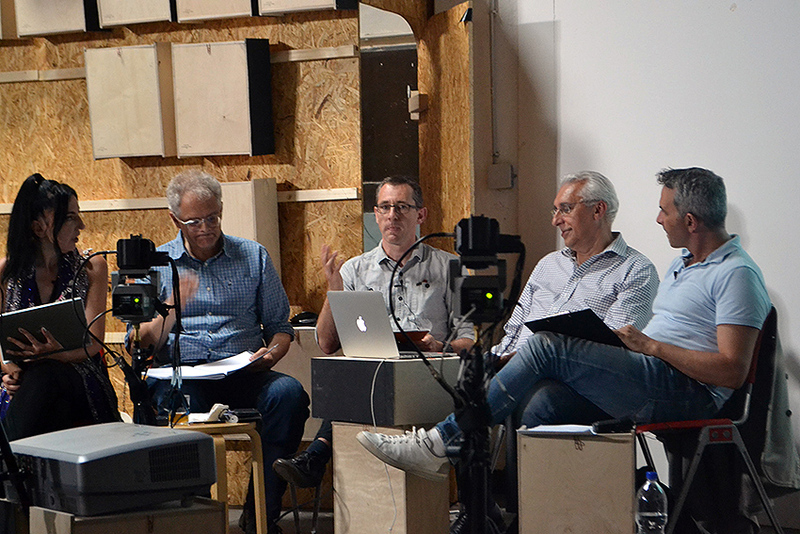 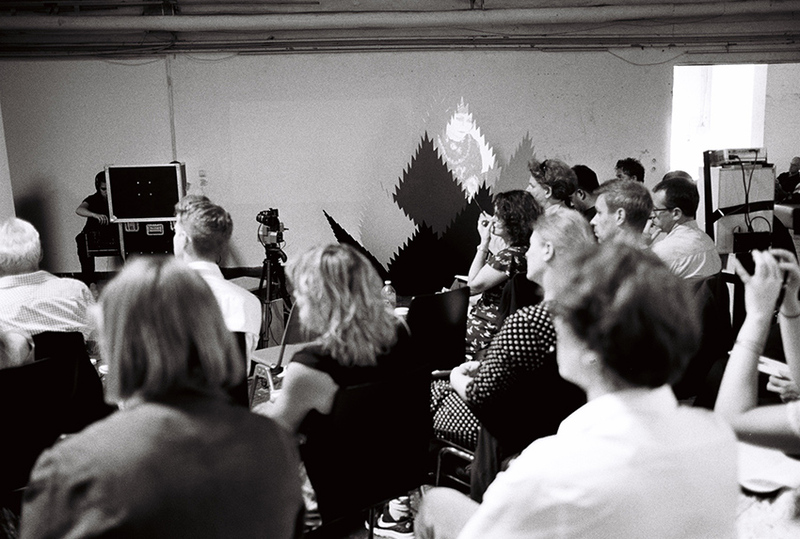 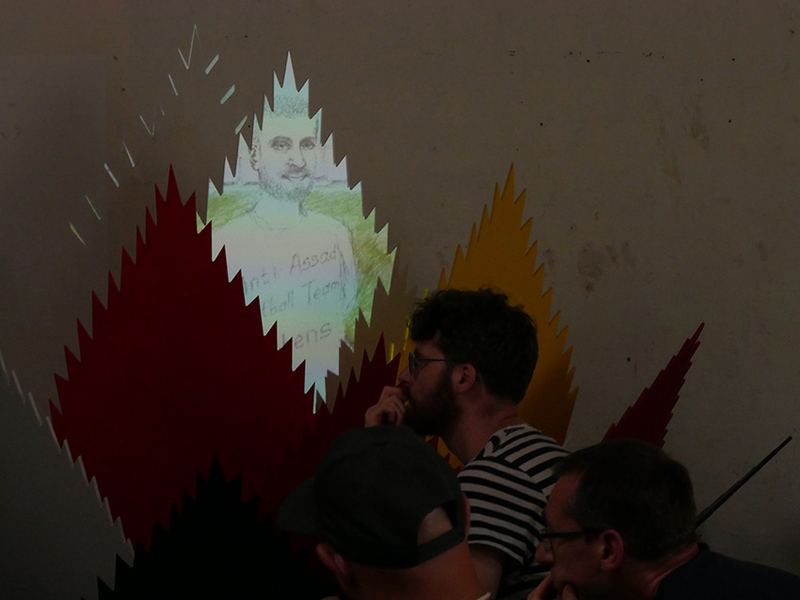 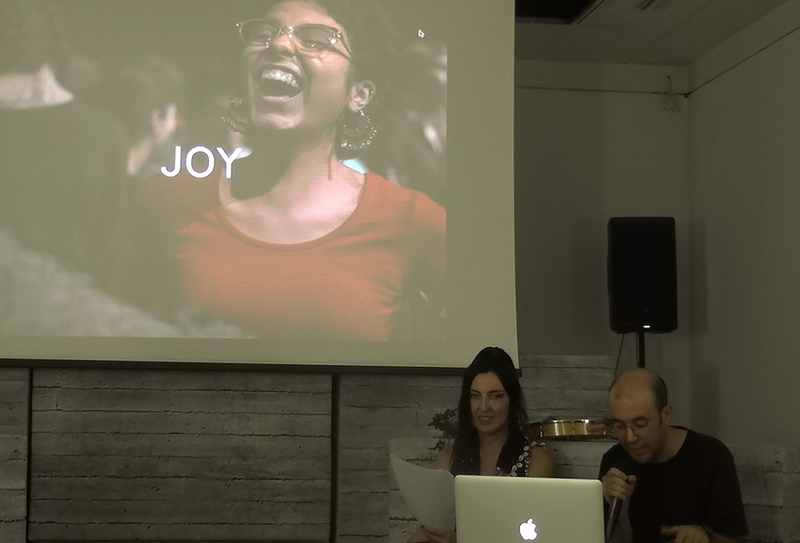 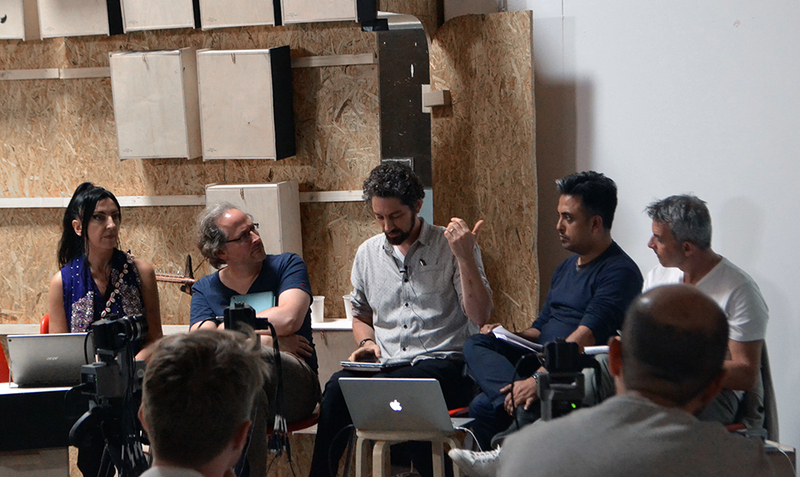 Texts, documentation, manifestos, and sketches of educational models were presented during the School of Everything in Kassel and in Athens. 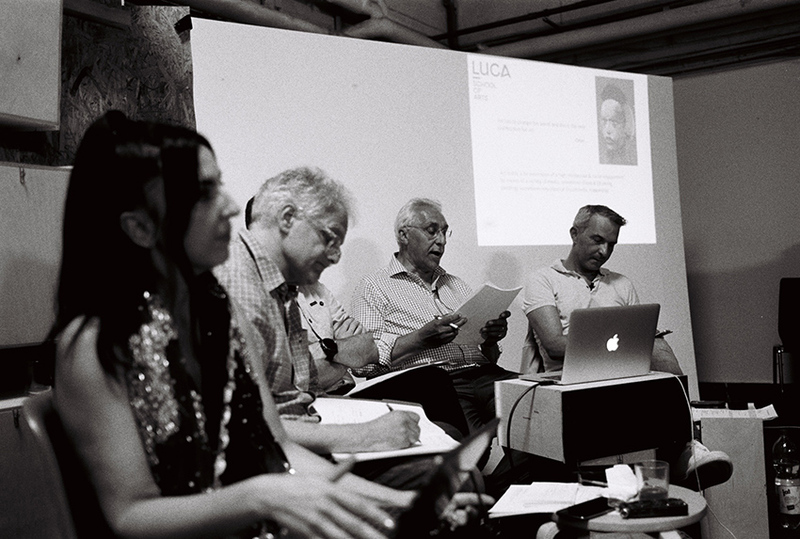 The participants of this gathering embody a novel curriculum, our gift to all educational institutions of the world. Education as an art form has moved, as the public and educational programs of the d14, from the periphery to the center. 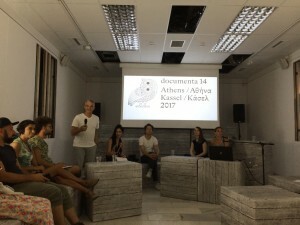 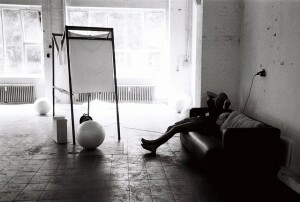 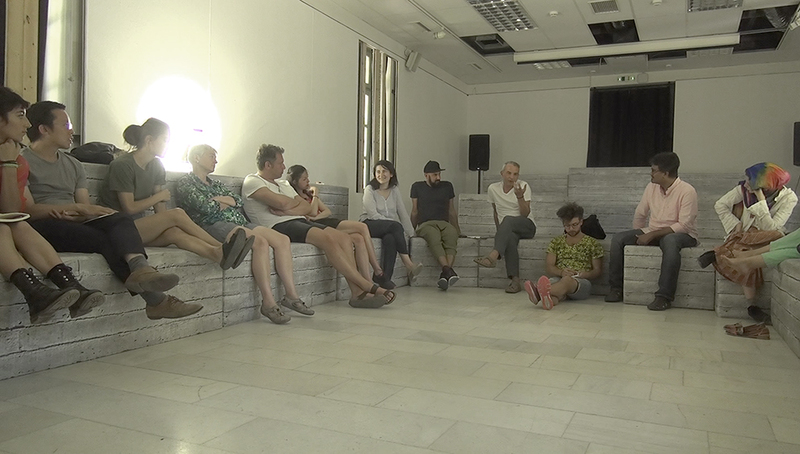 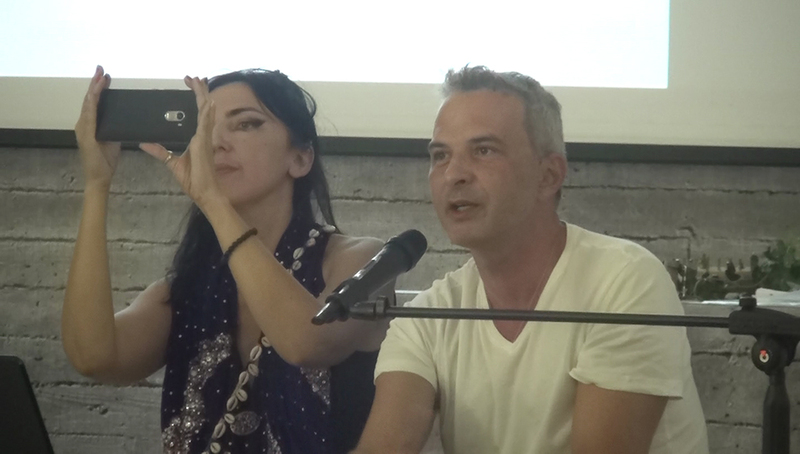 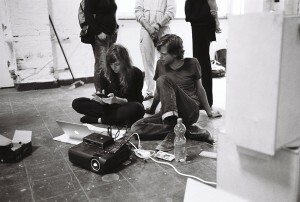 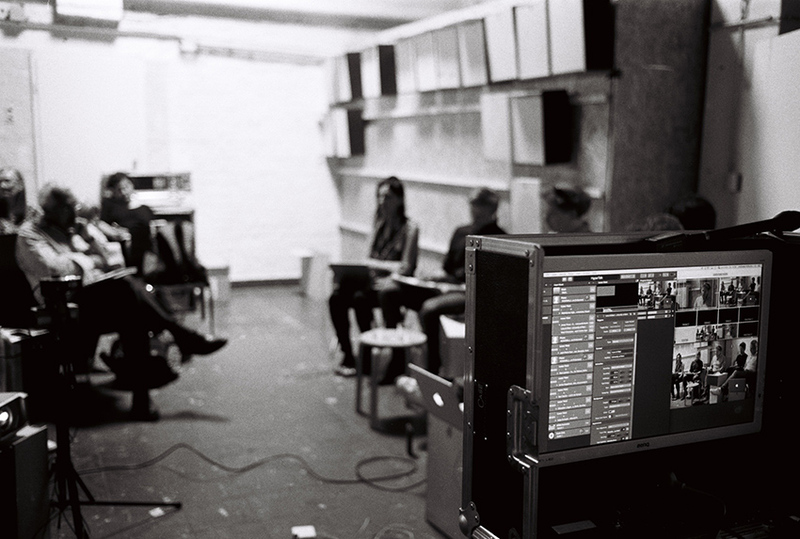 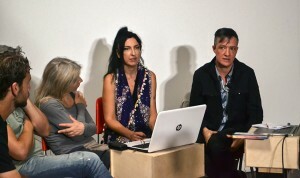 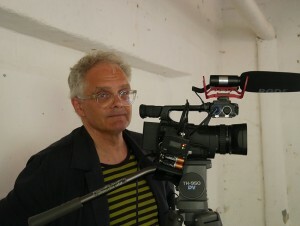 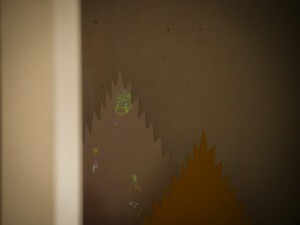 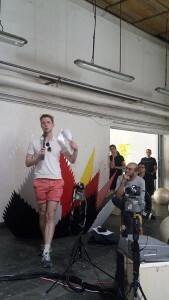 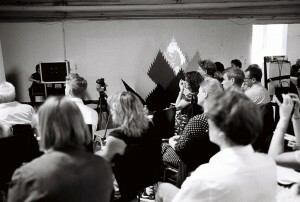 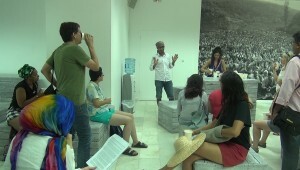 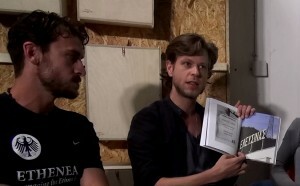 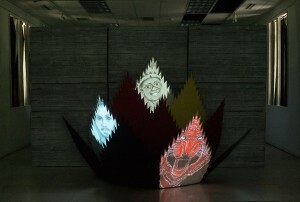 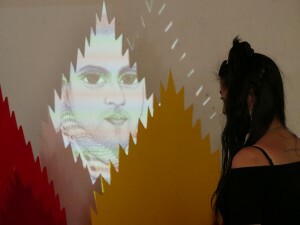 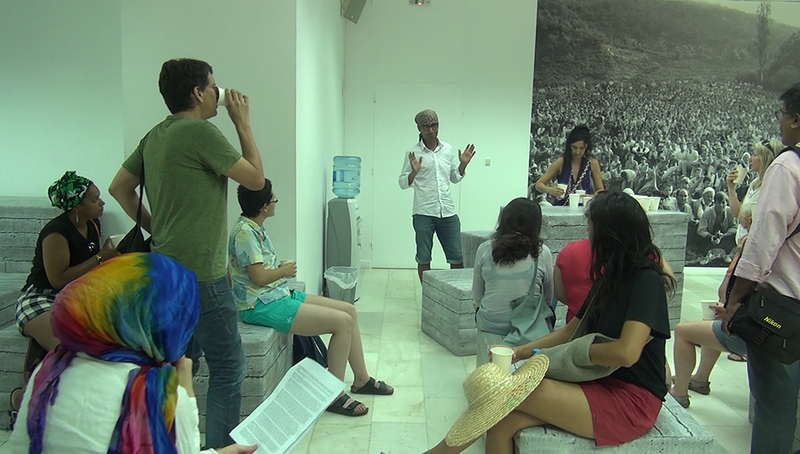 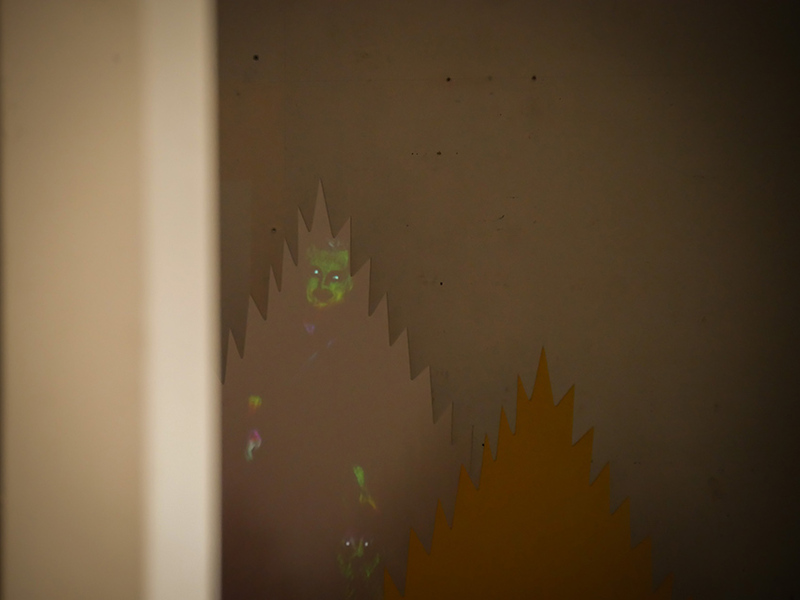 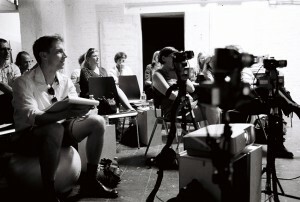 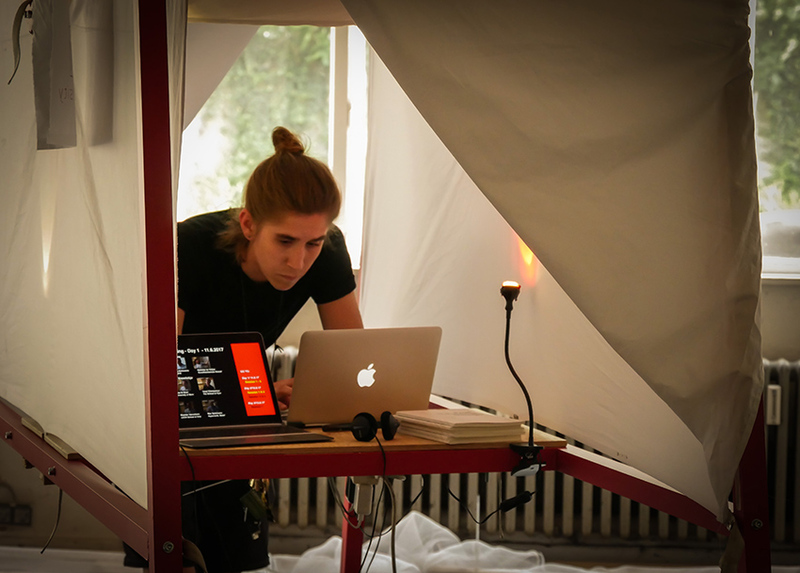 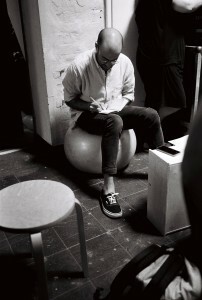 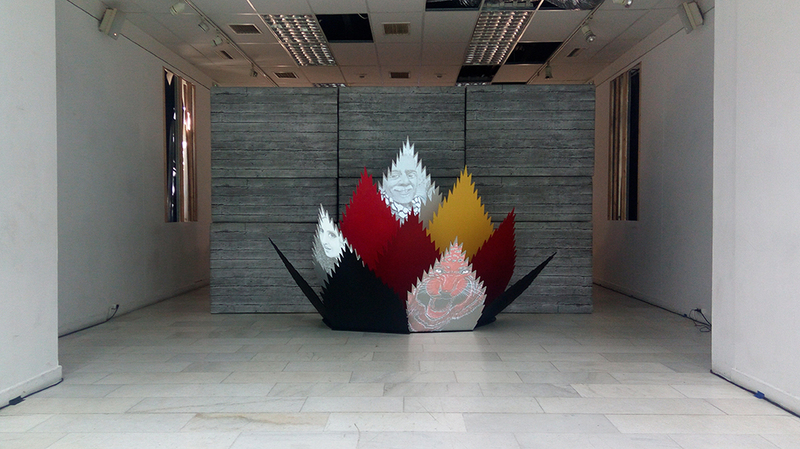 Moreover, during the School of Everything at the Parliament of Bodies, the end of documenta was officially proclaimed. 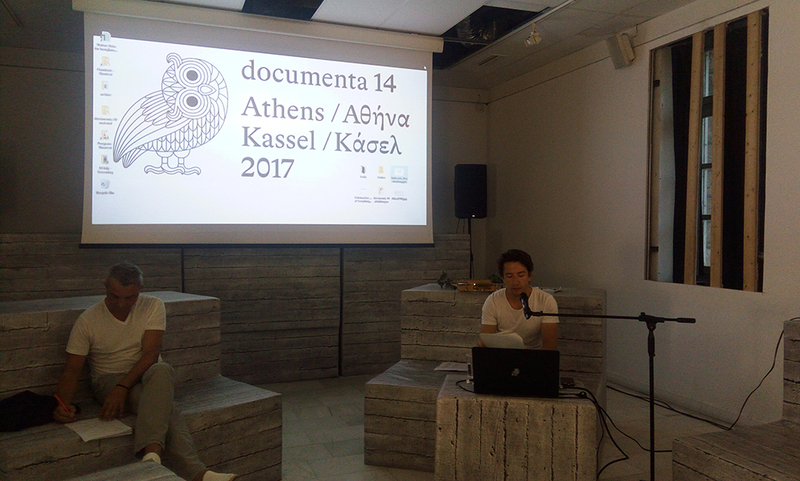 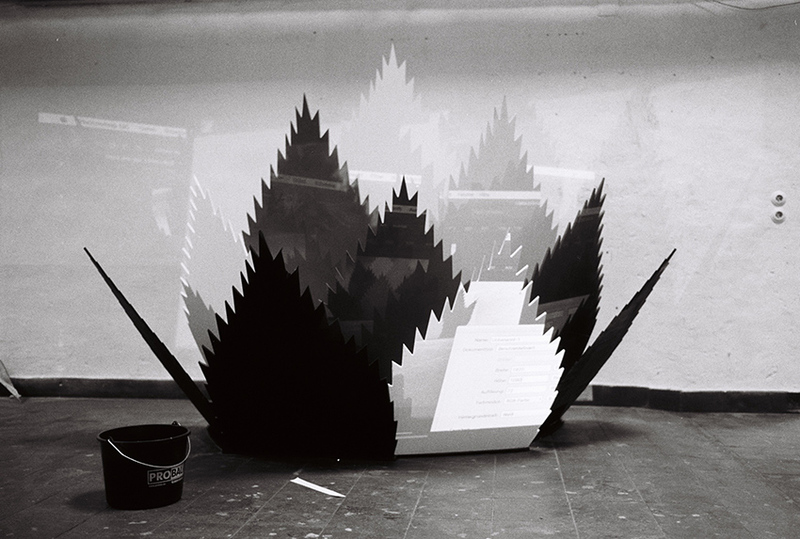 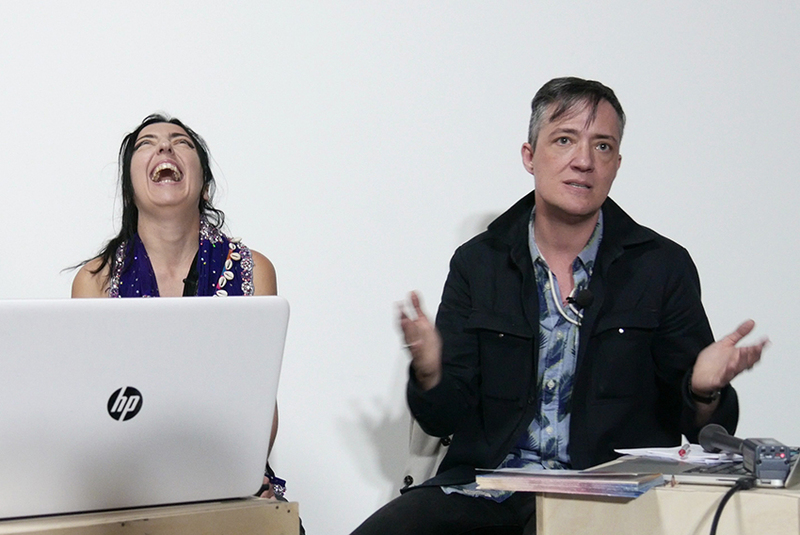 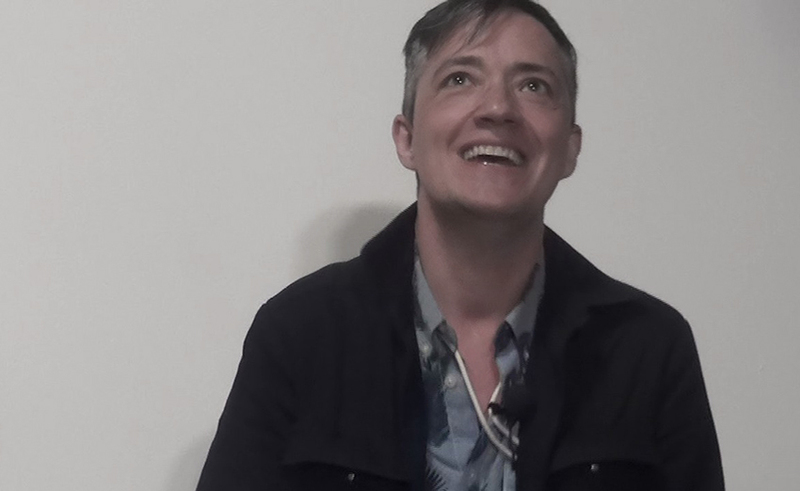 Documenta as an institution incapable of liberating itself from the zombifying strictures of modernity, no longer accommodates the process called art. 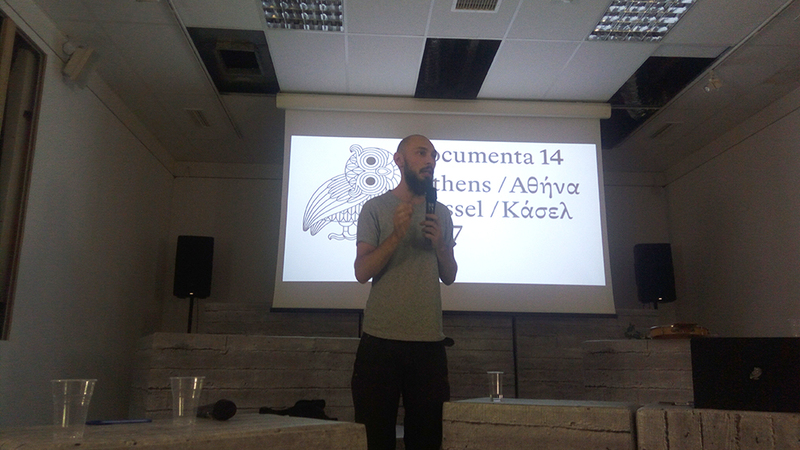 Organized by AthenSYN. 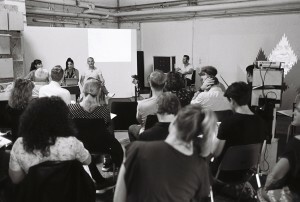 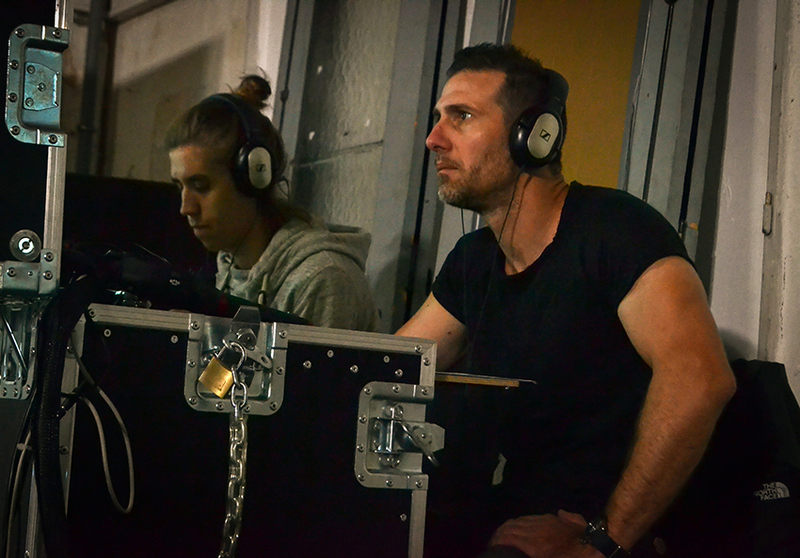 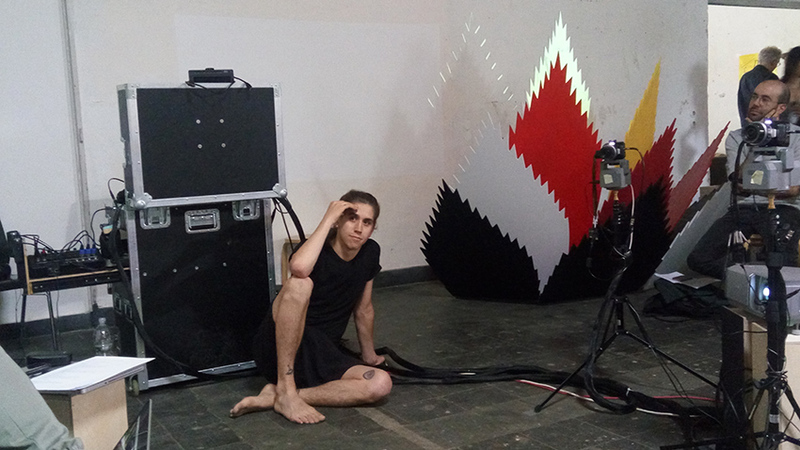 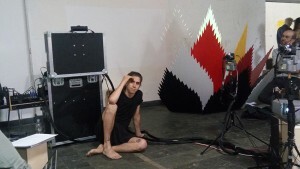 In collaboration with Allianz Kulturstiftung.